The Budge Foundation - Supporting the wellbeing and education of children. Supporting organisations who focus on the wellbeing and education of children worldwide. If you would like to support the work of The Budge Foundation there are several ways in which to do this. We welcome applications for grants from individuals, charities or organisations that align with the overall ethos of the Budge Foundation. 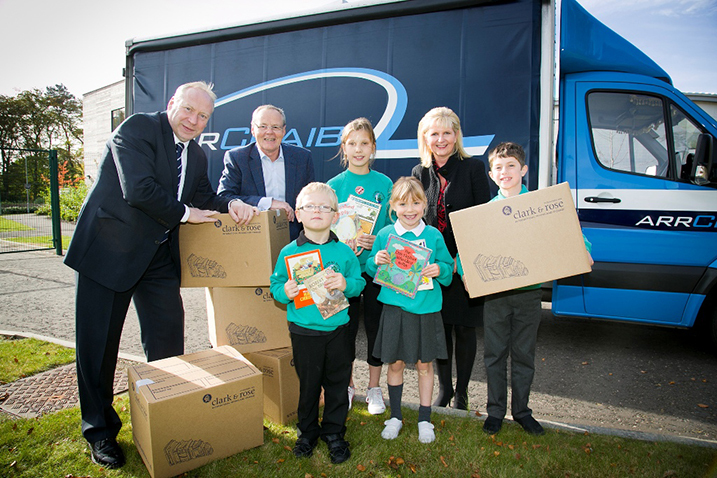 Bill and Lorraine Budge, who live in Aberdeen Scotland, decided they wished to support organisations whose focus relates to the wellbeing and education of children, worldwide. 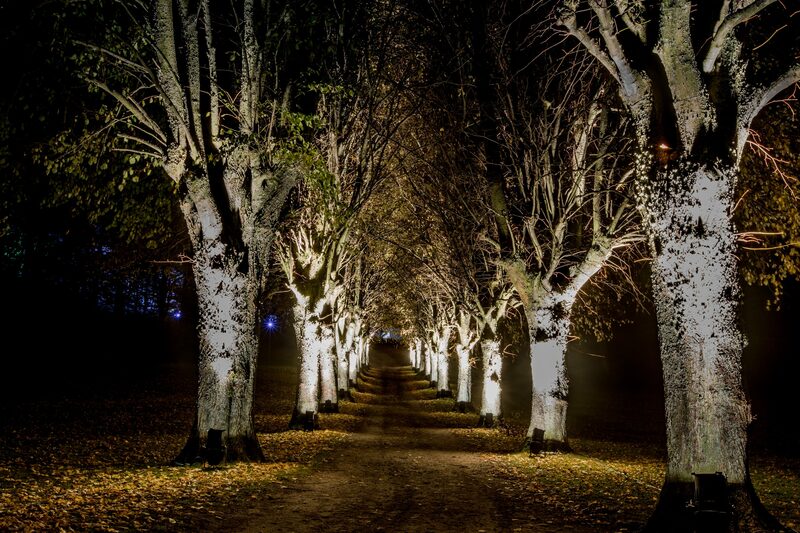 Additionally, projects which have a particular emphasis in sustaining the culture and traditions of Moray, Scotland where Bill was born and raised, as well as Aberdeen, are viewed sympathetically for funding. To date, The Budge Foundation have awarded grants to a very diverse group of charities, organisations and individuals. 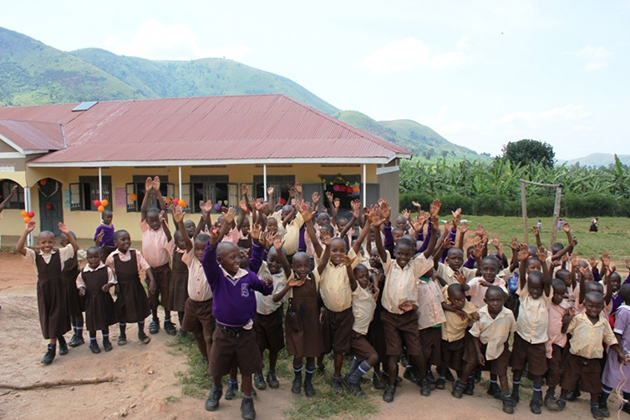 "We love our new classrooms"
Amazing Love School was founded in 2008 by Rotarian Saturday James to provide education to children in his village. 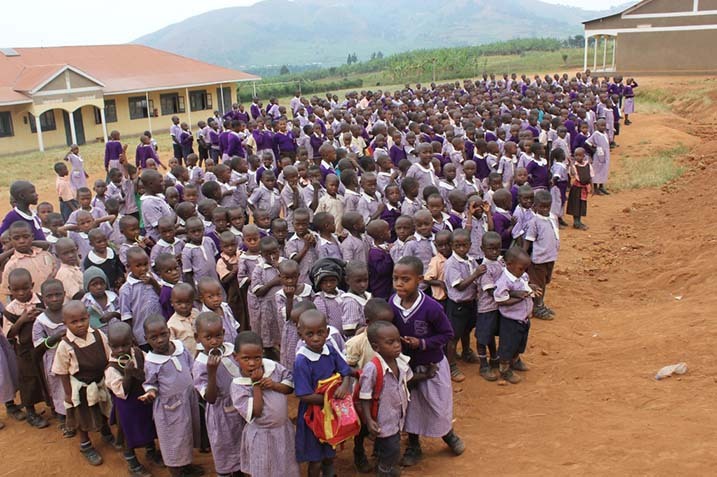 Due to the AIDS epidemic which severely hit Uganda, many children became orphans. Additionally, due to the great poverty which exists, many families cannot afford the school fees required for admission to primary school. 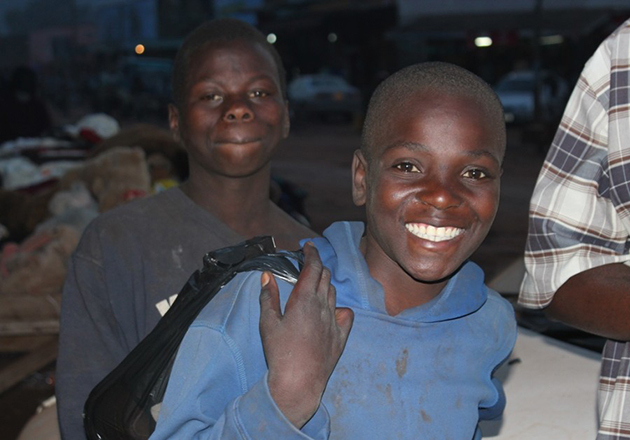 For many diverse reasons, children are abandoned or forced due to circumstances to become street kids. To date, 48 street kids have made the transition from the street to the school. Having been orphaned at an early age, Saturday James was able to attend school due to the generosity of an overseas donor who paid his school fees. He was determined to return this favour to the community. 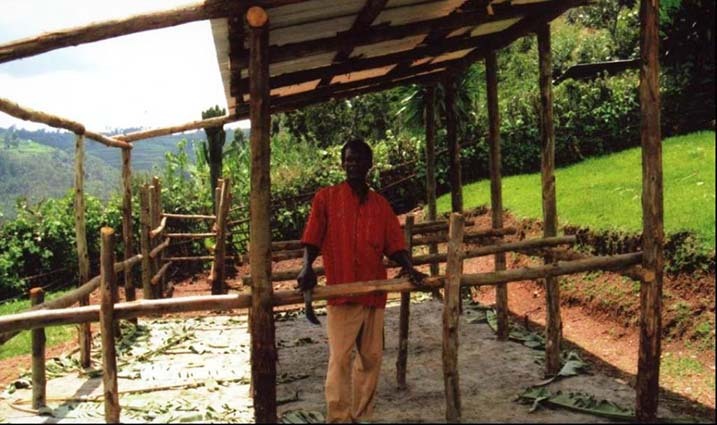 He saved from his salary about 50 cents USD per hour, a large percentage in Ugandan terms, for every hour he worked for 6 years in order to buy land, build housing and school facilities to educate as many children as possible. Currently 334 children are enrolled from Nursery to Primary 7. These children are fed 5 meals a day and are provided with school uniforms, school supplies, books, and boarding if required. 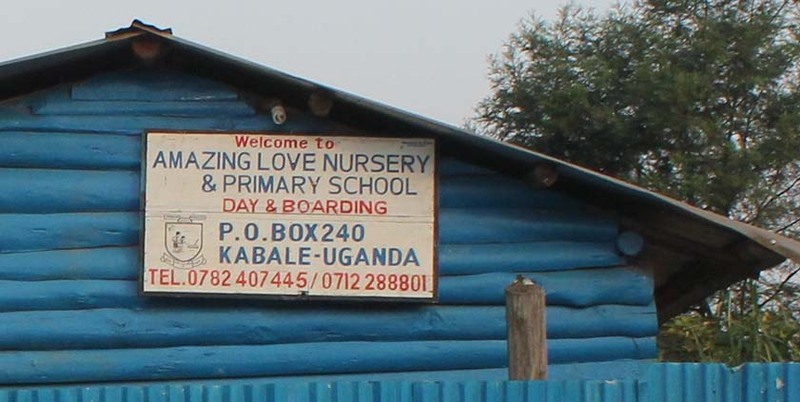 The ethos of Amazing Love School is to help the needy, specifically the vulnerable and marginalised people, such as the orphans and the poor in their communities, by offering them affordable, relevant and quality education to break the cycle of poverty . The challenges this school faces are large but the determination to succeed is immense. 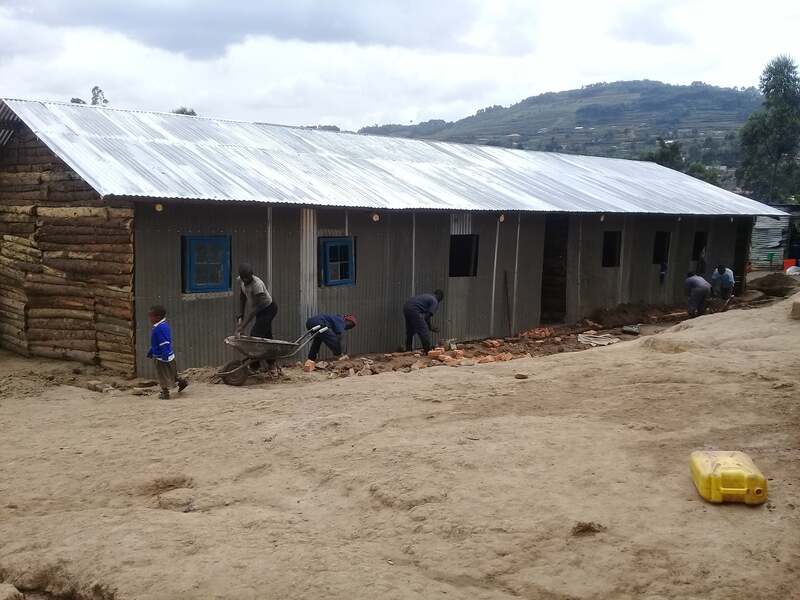 We are delighted that the school director, board of management, PTA and parents have worked together to improve the boys dormitory and assemby hall. This is great to see everybody sharing the same dream that their school should be the best possible. 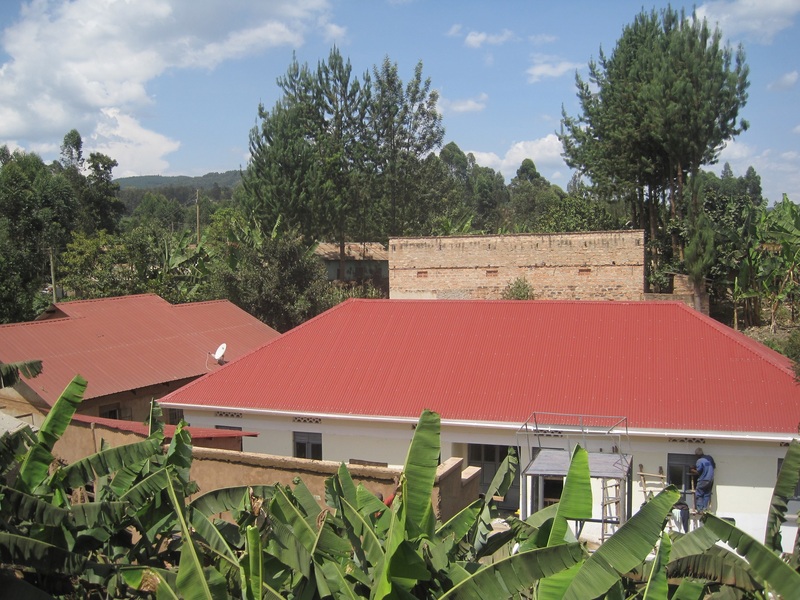 The Girls Dormitory is complete, together with female staff accommodation, flushing toilets, showers and a revamped medical centre. We are delighted at the end product and know this will make such a difference to the living conditions of staff and children alike. We have agreed to underwrite the cost of a 52 bed girl dormitory block. In addition showers and flush toilets will be provided. 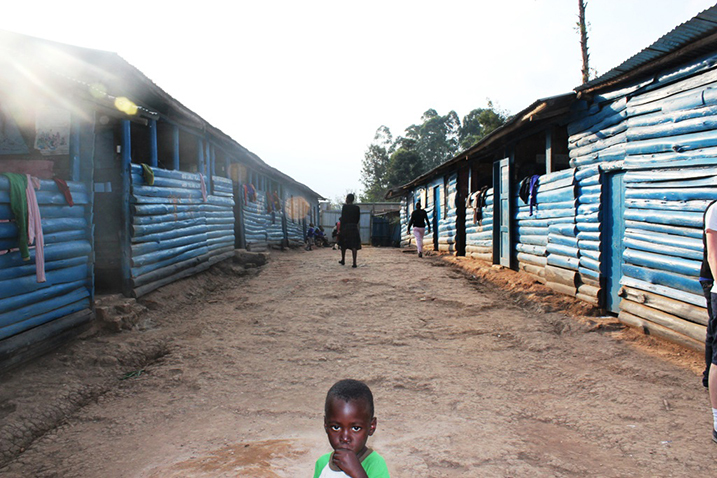 The current dormitories see 4 children to a bunk bed, no mosquito protection and poor sanitation. The classrooms are now complete. The School Council has advised us that the effect on staff and pupils of being able to use high quality buildings has been hugely positive. 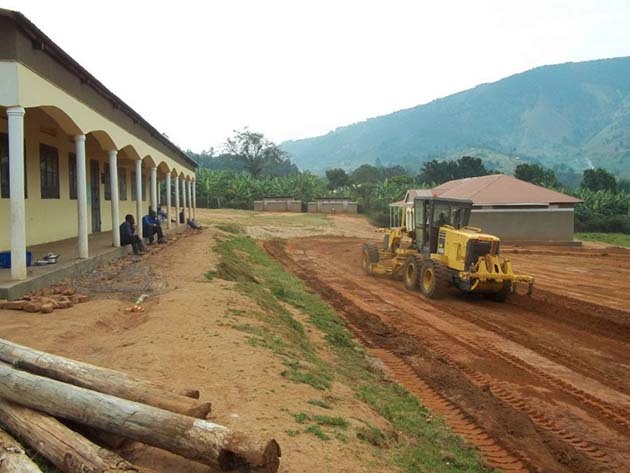 We are delighted and excited that building of a 4 classroom block has commenced. 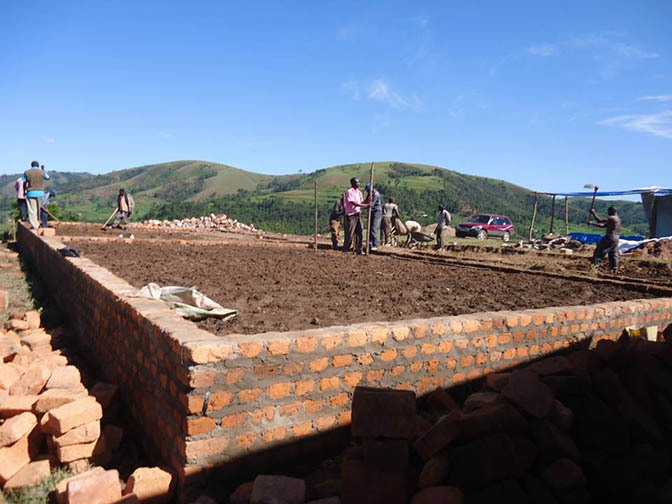 The Budge Foundation has funded the whole project, the local management of the building being undertaken by Kabale Rotary Club to whom we are extremely indebted for their massive assistance. 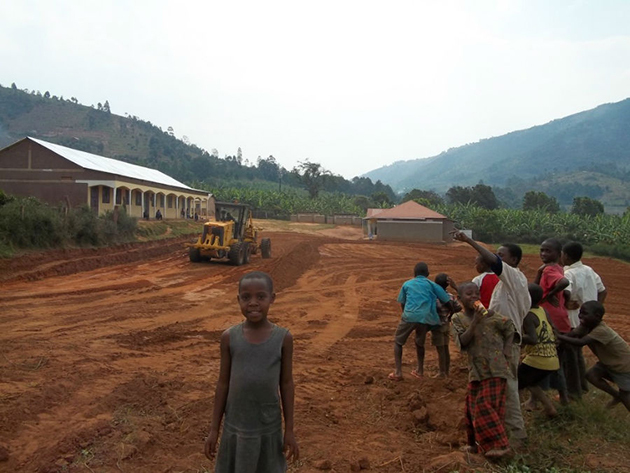 It is difficult to see from the photographs how steep the hill is upon which the new classroom block is being built. 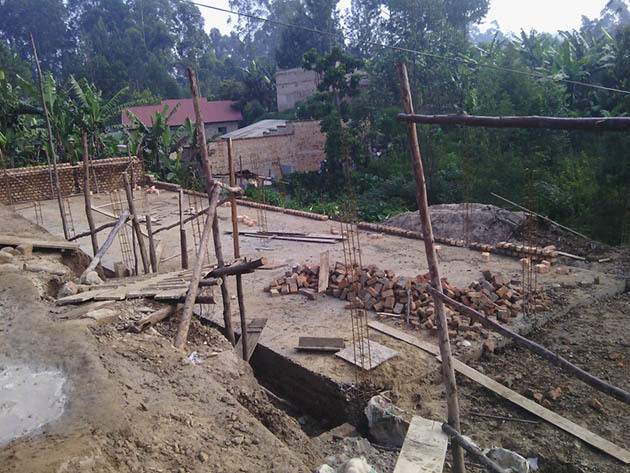 The initial work has centred on building a level structure on which to build. 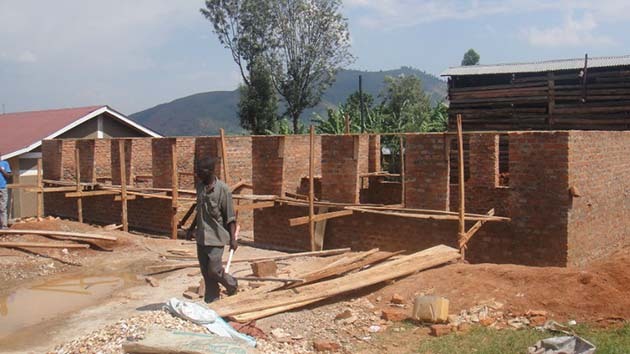 It is great now to see that the initial construction work has been completed and now we are seeing the walls rising. It is reckoned there are about 30 Street Children in Kabale. The ages of the children vary from as young as 3 up to those in these mid-teens. The nature of these children is that the transition from the street to the more formal environment of a school can be difficult however to date only one child has not been able to adapt and left to resume a very uncertain future. Because some of the children are older it is not easy for them to change into a lifestyle of formal learning. In these cases if a child can be taught to sign their name, read basic road and other signs and able to understand how to follow an acceptable law abiding lifestyle this we consider to be a success. Of course, there are others who have achieved to much higher levels and we are delighted to see these young people start to make a success of their lives. The background of the street children is inevitably tragic and varied. We have one child who was born as a result of his mother being raped, being left with his drug addict father whose contribution to his upbringing was to teach him how to smoke marijuana. At the age of 4 the child was abandoned on the streets. In another instance we have a child who was taken to town by his father, on the back of a lorry, and then just left to fend for himself. 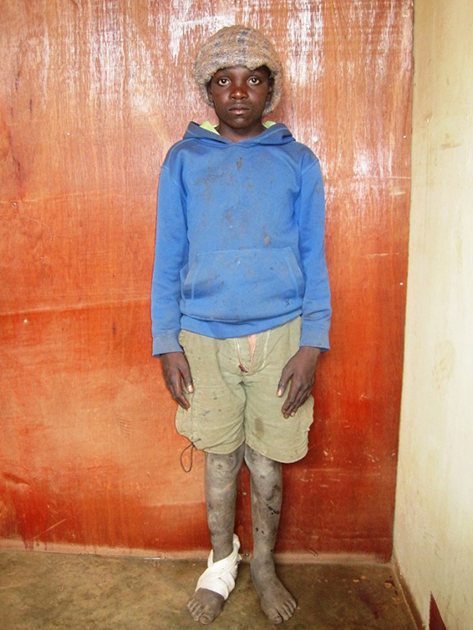 During our 2014 visit we meet Bright, a 12 year old boy who was desperate to attend school. On the first day we met him he was wearing two odd shoes, was dirty and unkempt. The second day we met him he had an old sock tied round one of his feet as the result of treading in broken glass. We decided this child had to have shoes which we purchased, however more importantly we agreed to fund his future education. He is, today, at Amazing Love school, where he boards and is doing very well. To see his face, when he was told he no longer would have to live on the streets and would be educated, was a wonderful sight. Today, The Budge Foundation together with others who wish to offer such children an opportunity to be housed, fed and educate, sponsor 9 children at Amazing Love School. This is a wonderful school in a very rural environment where extremely limited resources are being used to educate very willing pupils. The overall standard of buildings and infrastructure is very poor - but that's not enough to hold back a very committed band of teachers. The needs of the school are many, however they have decided that the building of replacement classrooms is a priority. 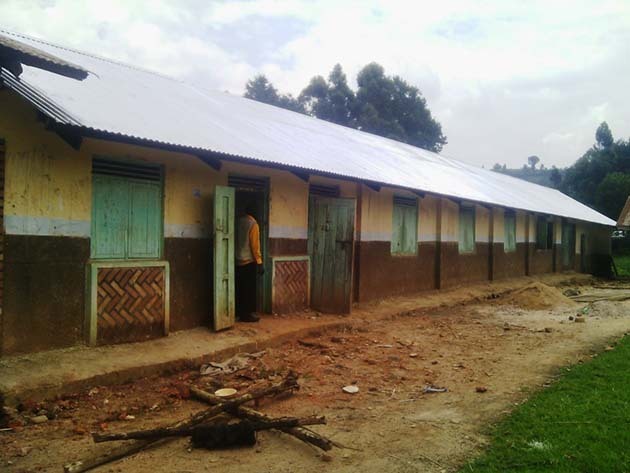 The Budge Foundation used Rotary International to project manage the building of a two classroom block which was completed in early 2015. 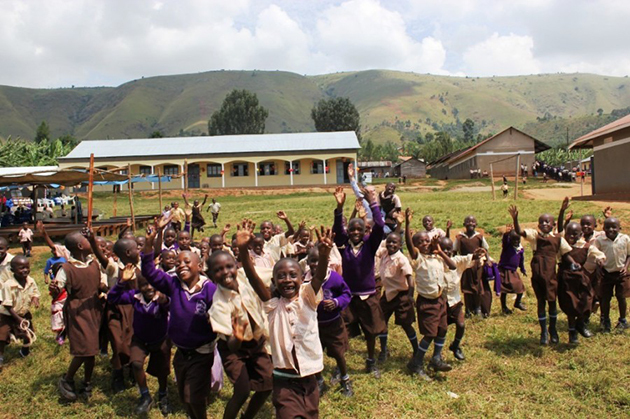 We had heard of Muko High School through Robbie Middleton of Portlethen Rotary Club and we had asked Kabale Rotary if they could arrange a visit for us. 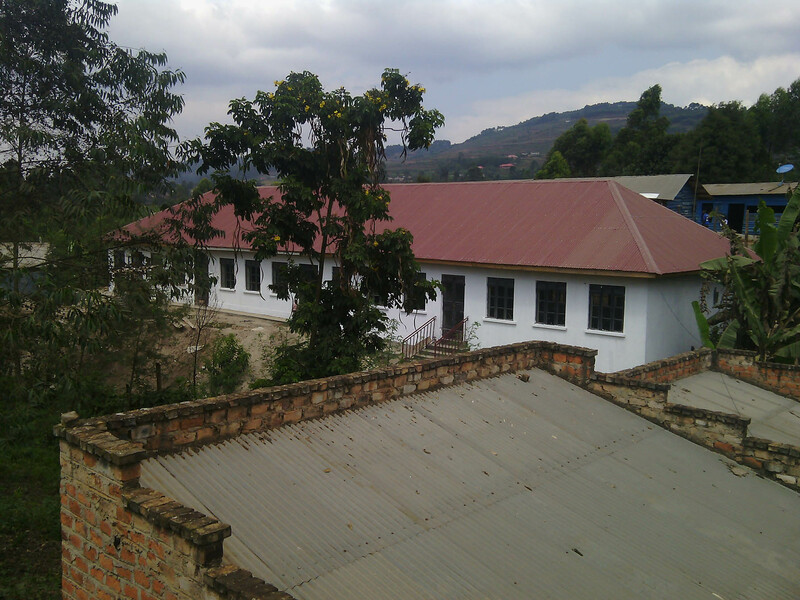 This school, established in 1991, is for secondary children and led by the Rev Rutoosha Jackson. The headmaster is a former pupil of the school and it is a great credit to the teaching methods employed he achieved to the level he did. The atmosphere at the school is incredible. You can almost taste in the air the determination to succeed from staff to pupils, this being achieved within facilities which were the worst we had ever seen in Uganda. The conditions within the school dormitories are awful… the picture above just doesn’t show how dire it is. 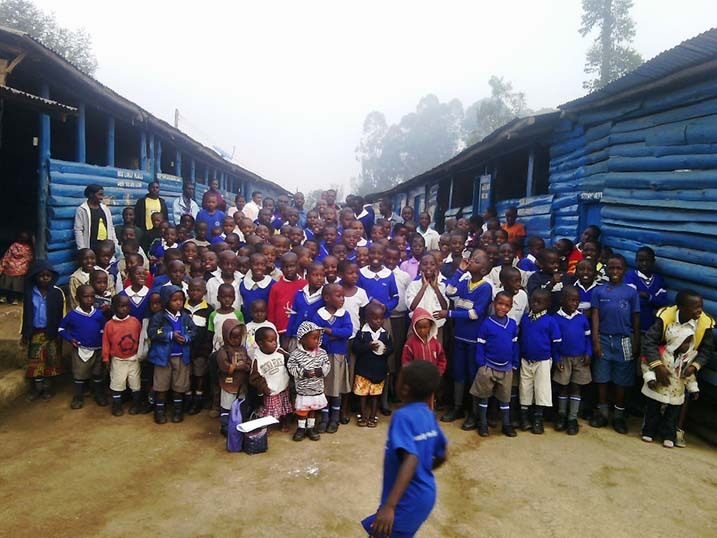 The bunks are stacked three high, this is now illegal in Uganda, but the school has no money to sort this and there is no mesh over the holes in the air bricks so mosquitoes can easily get in. Malaria is the largest single killer in Uganda. There is no electricity locally so there is no electric light in the dormitories. Clearly candles are not an alternative because of fire risk. The geological strata of the area where the school is situated is largely volcanic. The boys long drop toilet is no longer operational … the vibration from the 40 Ton trucks from Congo transiting through Uganda has resulted in the walls collapsing!! There are no girls’ toilets. An additional problem caused by the trucks is that the vibration from them has broken one of the main water mains so the flow of water to the school is much reduced and additionally there is only one storage 10,000 litre tank on-site. The scale of the above has to be considered against the fact there are 500 children, a large number of whom have to board; school kitchens which need water and drainage and, effectively, minimal facilities on site to cope with this. The government in Uganda has decreed that children should learn computing but clearly if you look at the other problems facing Muko Secondary School there is no way they can afford computers. 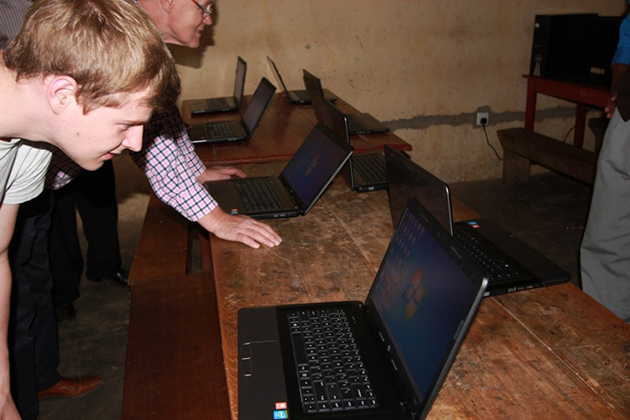 Inevitably, computers in Uganda are much less expensive than the UK. When Lorraine and Bill Budge requested a visit to Muko Secondary School they had no idea what they would find. Frankly they were shocked. However they immediately decided they wanted to help. The Budge Foundation have agreed to fund mosquito nets for the dormitories and fumigation every six months, solar polar and associated equipment so proper lighting is available in the dormitories, 3 x 10,000 litre water tanks to alleviate the water shortage, new toilets for girls and boys. In addition, so these most wonderful pupils can enjoy the 21st century more readily, 10 computers. At the end of the visit the school put on a great show of singing, dancing, drama and marching which was funny, moving, fantastic to listen to and most importantly delivered with amazing enthusiasm… simply you don’t forget such things. All work is now complete and working. During our visit in July 2015, we were delighted to see that the new boys toilet included a ramp which allowed a disabled pupil easy access to the facilities. 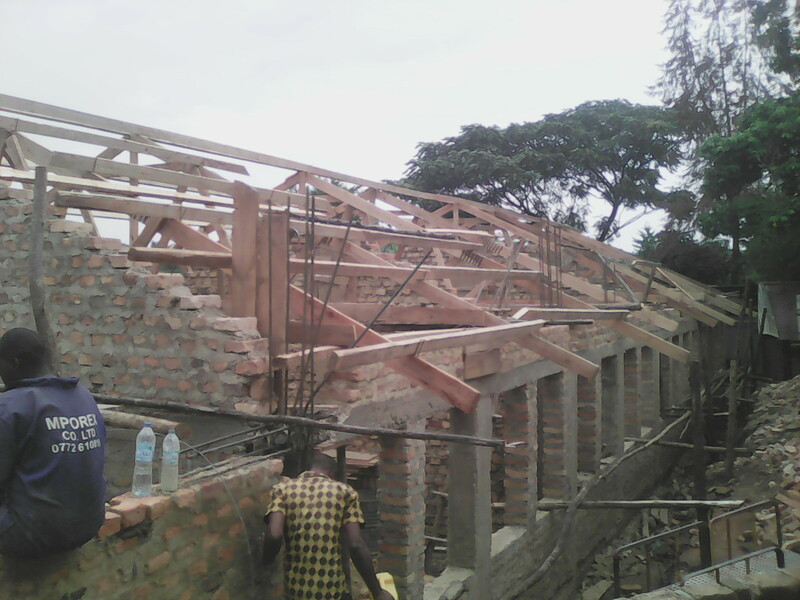 The roof on the hall has now been completed and the boys’ toilets are nearing completion. The additional battery for the computer room is now in-situ and making a big difference. 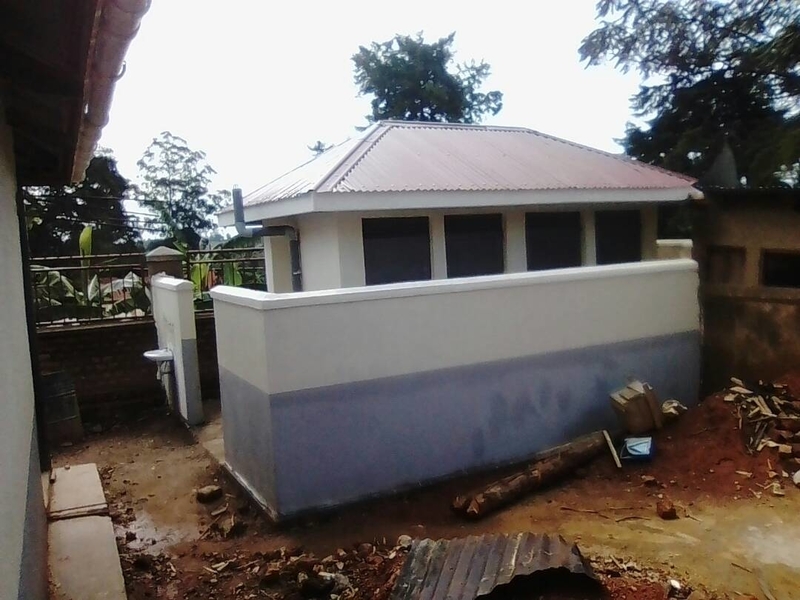 The initial tender quotations received for the lifting of the height of one of classrooms blocks to enable the water gathering system to work properly, together with the building of an additional boys toilet, were too high which resulted in the work being re-tendered. 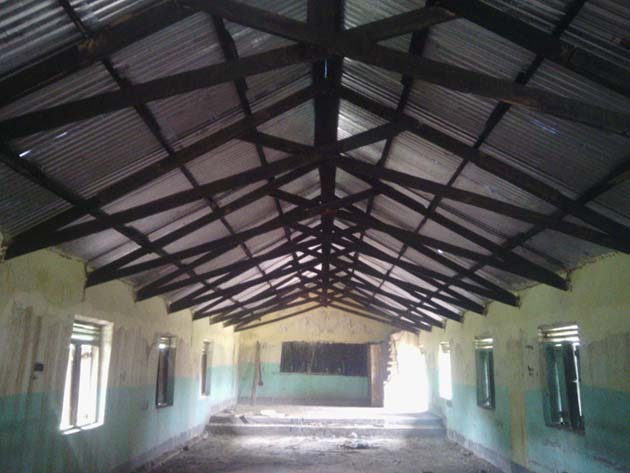 The situation was further complicated as the original corrugated iron roofing sheets, which had been used initially, were of poor quality and require to be replaced during the building process. We are delighted the work has now started. We have agreed that quotations should be obtained for the building of an additional boy’s toilet. Quite simply, due to the number of boys at the school there just isn’t enough capacity. Additionally, the current battery charging the computers is not sufficient and we have authorised the purchase of another. Two of the 3 rainwater storage tanks are working well, however the third, due to the pitch of the surrounding roofs is not. Quotations are being obtained to lift the roof's to a higher level to allow rainwater to be collected. This is an excellent school with amazing pupils and staff. During our visit we enjoyed some beautiful dancing and singing in an incredibly friendly environment. We look forward to going back in 2015. Great progress has been made. 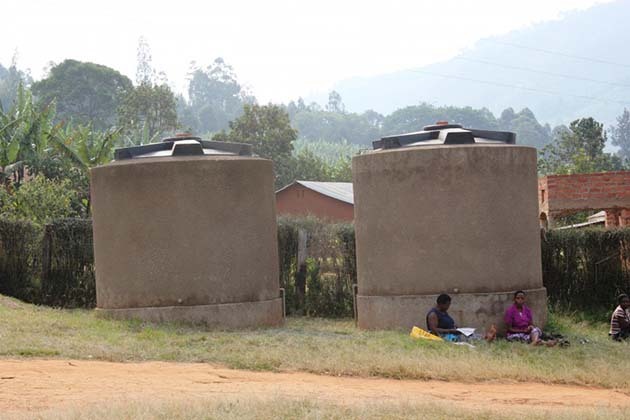 The water tanks are installed, solar power now exists in the dormitories and the toilets are working. What we hadn’t considered was that we would meet an extremely charismatic, completely focused, caring and highly persuasive headmaster!! The Budge Foundation now have agreed to sponsor four great kids through their secondary education at this fantastic school. 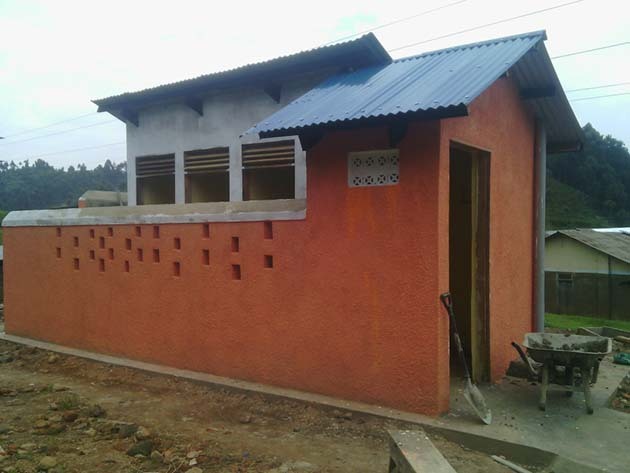 The children's and staff toilets were completed in late March, with work beginning immediately thereafter on the building of a new kitchen. Excellent progress has been made with the building of this new facility, which should see all construction works completed by late April. 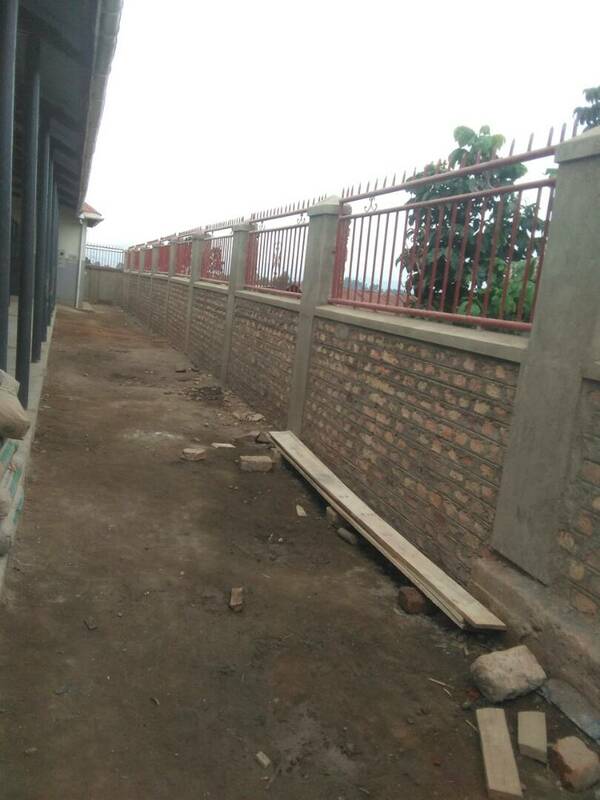 The new retaining wall has been completed in time for the children to return and begin their new school year. The construction of the wall has been a major piece of work, the outside of the wall being over 5 metres in height. 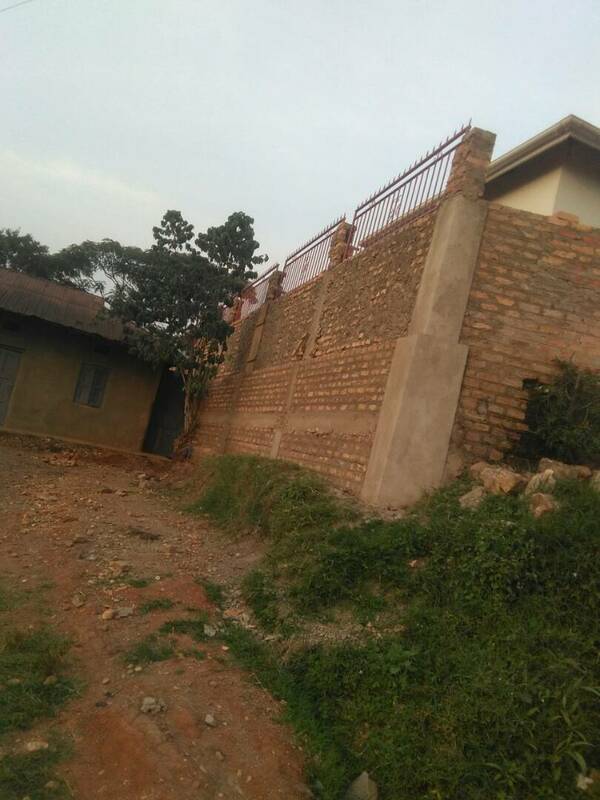 The wall has been built sufficiently high to ensure, from the inside, no person can possible fall down the sheer drop which exists at the boundary of the school with one of its neighbours. Other construction work going on at the school has seen the building of new flushing toilets, connected to a sceptic tank. The previous sanitation arrangements at the school were amongst the worst climb we’ve seen in Africa, however the new arrangement will see enhanced hygiene standards which safeguards the health of all pupils. Going forward, the next phase of works will see new kitchens built together with additional toilet facilities for staff members. Staff retention is of paramount importance to ensure continuity of high teaching standards. borrow money at low interest rates. Work has now commenced on removing the old retaining wall which separated the new school block from an immediate neighbour. This new wall is vital to maintain the integrity of the existing building and also to allow progression to the next phase of the building programme. Although difficult to see from the photographs, the height from the top of the pile of earth to foundation level, is about 6 metres. As everything is done by hand, you can imagine the huge amount of physical labour required, prior to laying the foundations. 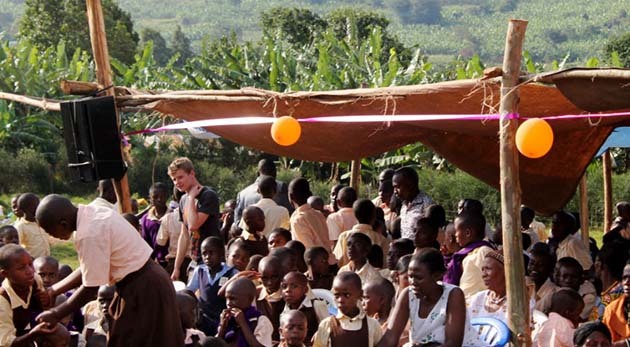 This school is achieving the almost impossible. The compassion shown to all pupils from the staff and huge desire that levels of achievements will be the highest possible is a potent mix. 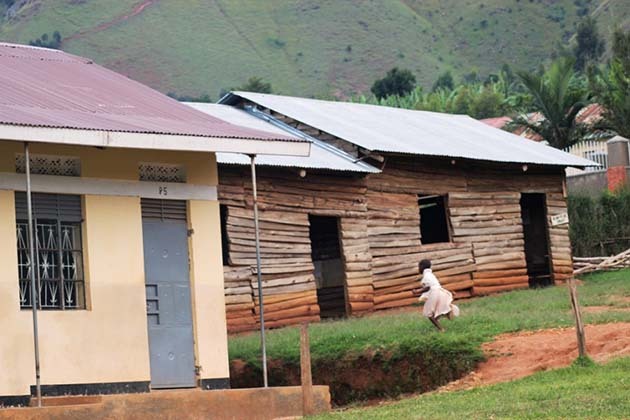 This school is now the achieving the highest scores in examinations in the area of Uganda it operates which is amazing when you see the limited resources available. Nearly one third of the school's role are orphans however, the headmistress and headmaster are amongst the most compassionate people you could meet and provide education to those in society most badly affected by adversity. Due to the improved teaching facilities and also the school achieving to such high levels, we are now seeing parents choosing this school, as their one of choice, to send their children to be educated. 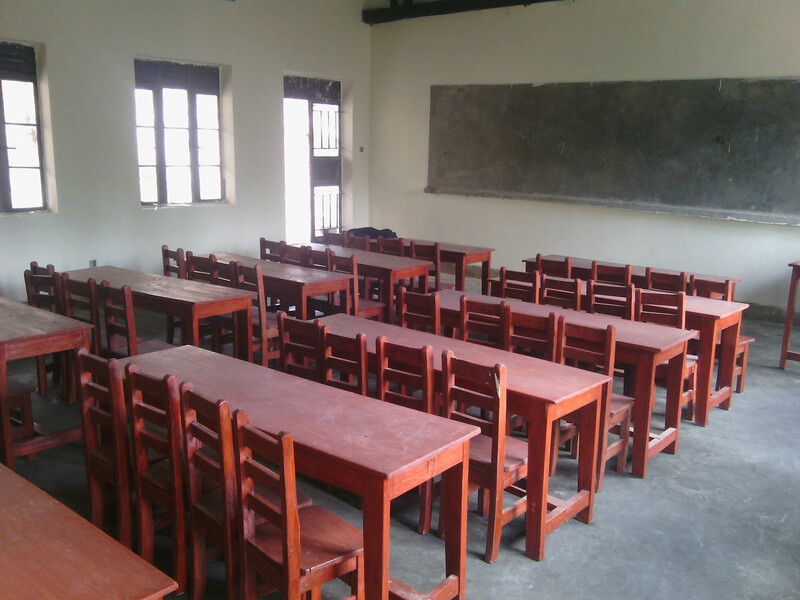 The new classrooms offer a far better learning environment, however there is much work still required to be done. 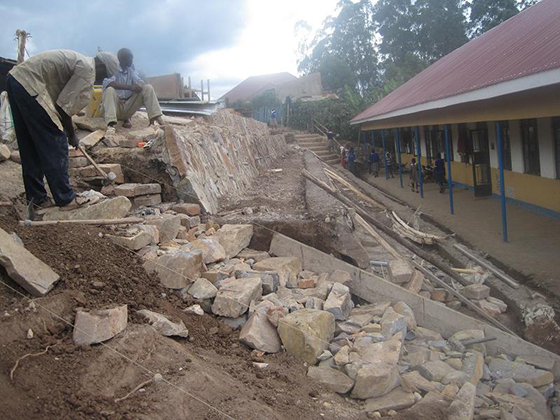 The retaining wall below the school building is in danger of collapse. Urgent tenders are being obtained to enable work to commence to rectify this problem. The sanitation is of a very poor standard as is the case with the kitchen. 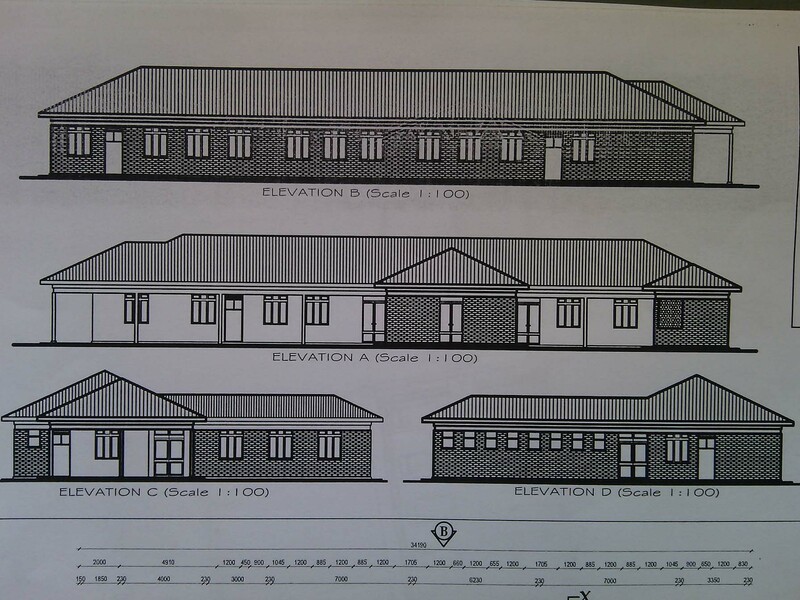 There is also a need to build one/two floors about the new classroom block for dormitories for children. 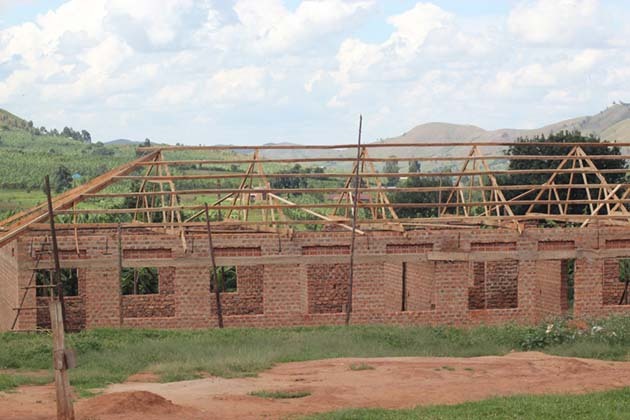 A building upgrade plan is being produced by a project team of Rotarians which will ensure, as tenders are awarded and works progress, all monies which are spend will be in an accountable manner and the construction will be of the highest standard. 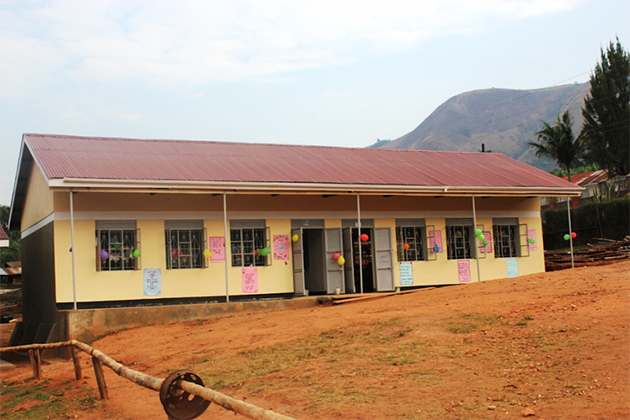 We are delighted the classrooms are now complete. 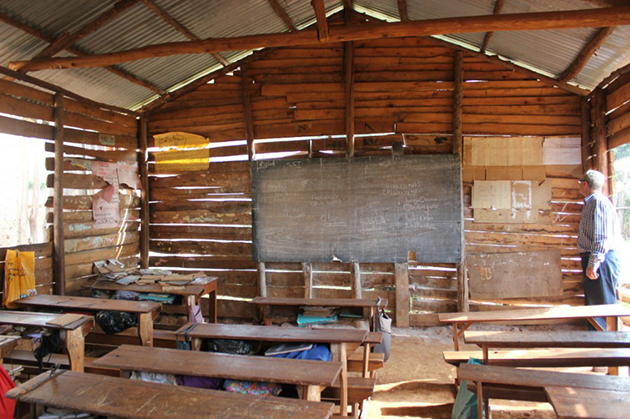 The children are now occupying these great classrooms which are in complete contrast to where they were previously educated. A fantastic job has been done by the builders working on this very restricted site. 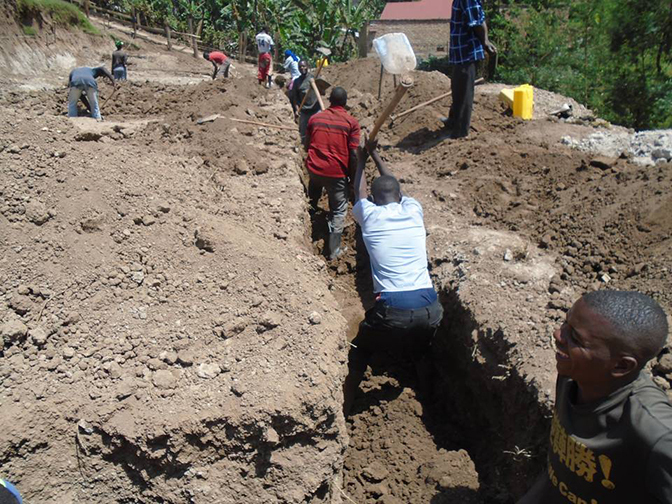 Kabale Rotary Club have managed this project and brought it in on time and on budget and we very much acknowledge their unstinting support in managing our projects in Uganda on a totally professional basis. Good progress is being made with 2 of the classrooms now at roof level. As can be seen from the photographs, everything is done manually. It is hoped the building programme will be completed by early Spring 2017. It had been originally planned to build an additional floor on to the existing building. After inspection of the building, by structural engineers, it was found that the integrity of the structure would not allow this to happen. 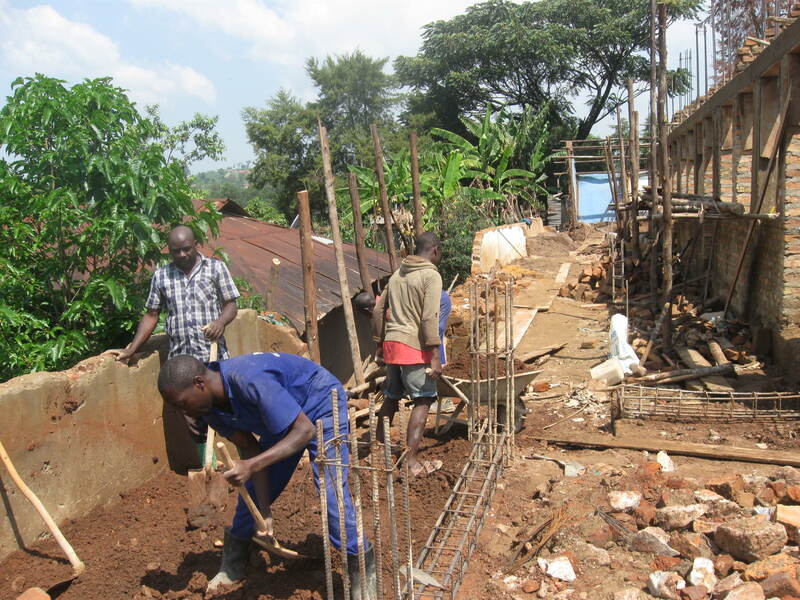 The construction of a new 4 classroom, 2 small offices + storage provision has now commenced. The new classrooms will be bright, airy and most importantly wind and water tight. This is in stark contrast to the conditions in which the children are currently educated. This construction project is the largest one to date undertaken by the Foundation. We are delighted to assist this school where the dedication, selflessness and compassion shown by the staff towards the pupils is simply superb. 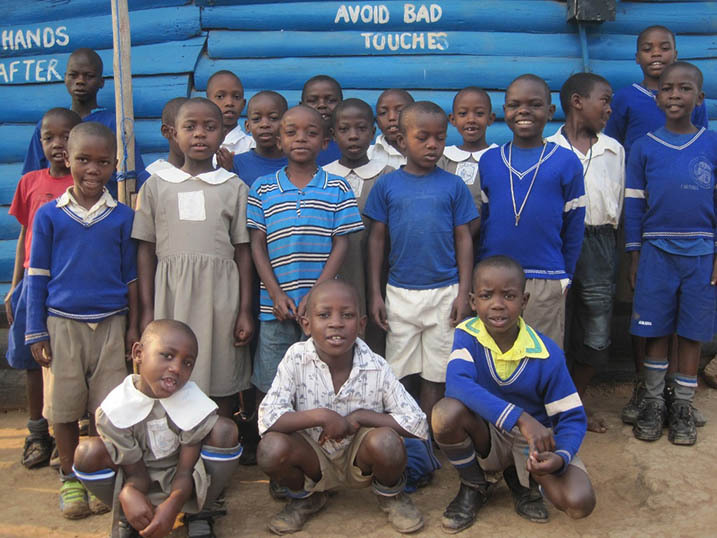 Little Angels is a wonderful school with a huge social responsibility caring for the children of AIDS victims, a number of whom carry the HIV virus, as well as providing education for children in the local community. The founder of the school, Betty Muzanira, is an incredible person who is determined to provide an education to those from very difficult backgrounds. 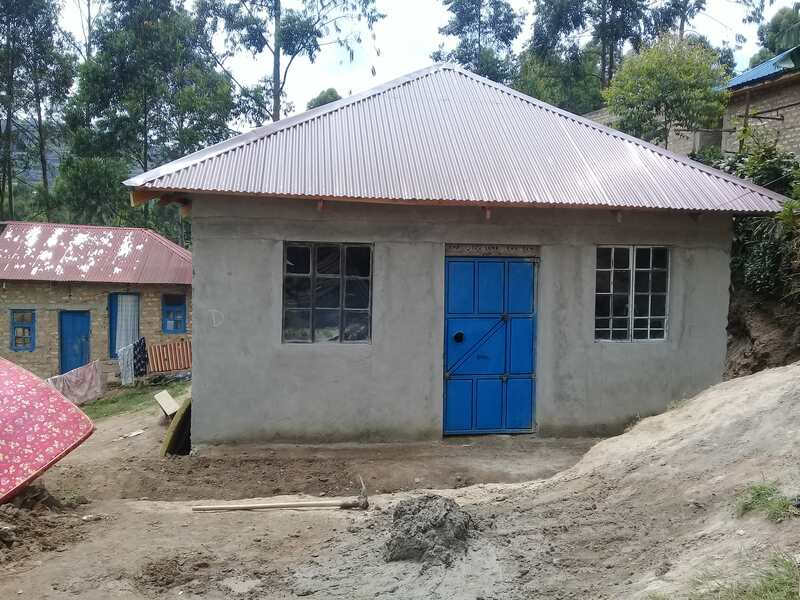 The Budge Foundation funded the repayment of an outstanding loan Betty had taken to meet the building costs for her school enabling her to stop worrying where money could be found to repay the bank and allow her to concentrate on what she loves to do, teach children. The headmaster, Kenneth Turyasingura, is a true humanitarian who shows amazing compassion to all his pupils. 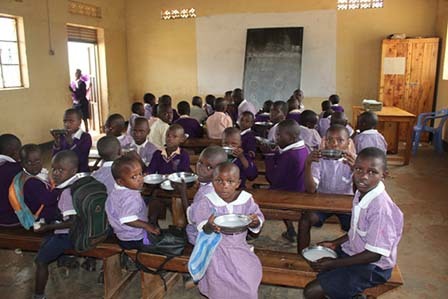 The Budge Foundation and generous supporters of our work, currently sponsor the education of 12 children at this school. We have no doubt that the Budge Foundation will have a long term relationship with this school. 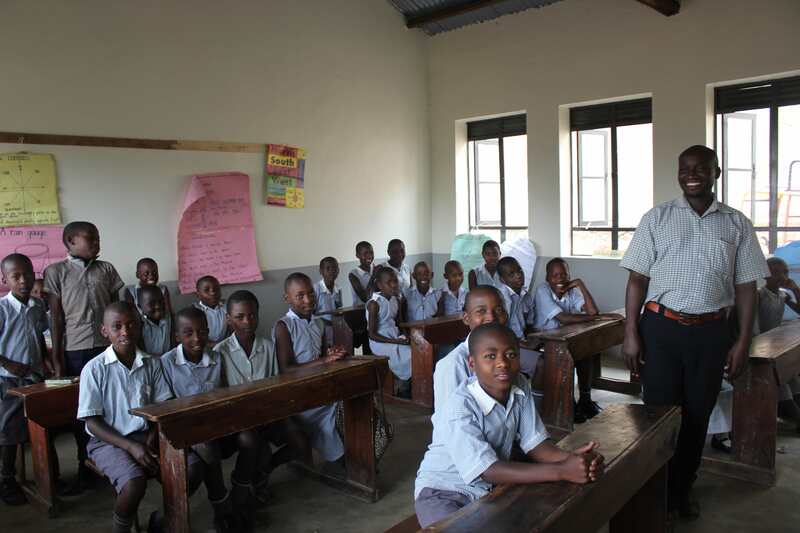 Bunono School offers basic primary education based on the requirements of the Ministry of Education and Sports. The children are also taught health education through music, dance and drama, e.g. prevention of HIV infections. It is the second best performing school in the area, staffed with wonderful teachers and support staff. 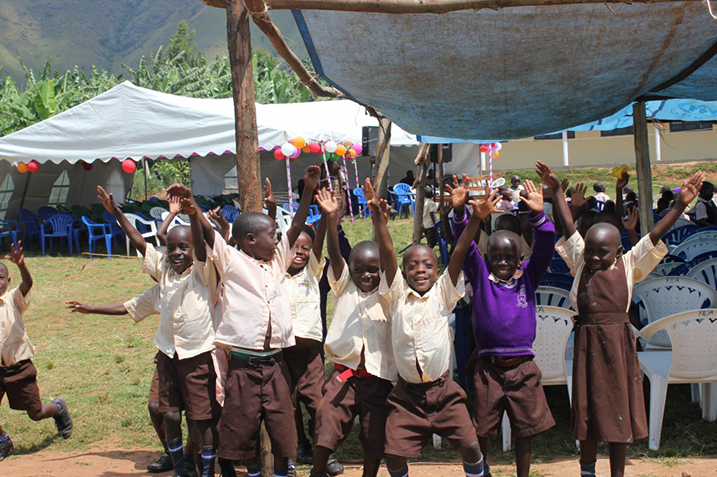 In July Lorraine, Bill and Iain returned to Uganda and were delighted with the results of the collaboration with Kabale Rotary. The two new classrooms were built to schedule and on budget. 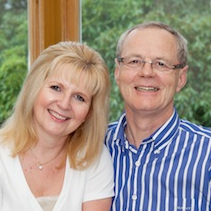 In mid-June, Bill and Lorraine travelled to Uganda on a 14 day trip. 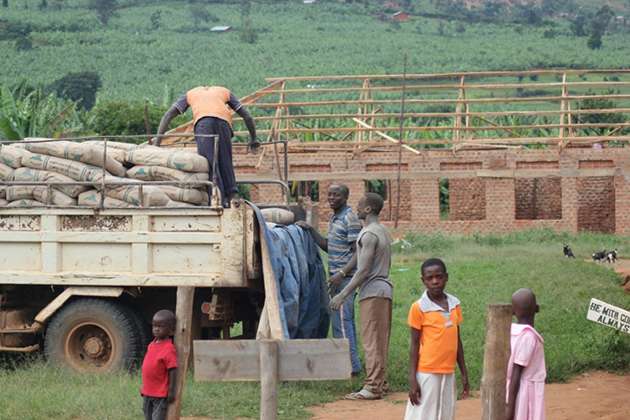 The Budge Foundation had become very aware that delivery of projects in an efficient, timely and cost effective manner would be better achieved if we had a local partner in Uganda. We knew that Rotary was highly respected in Uganda and, by a fantastic coincidence, Portlethen Rotary Club, 5 miles from where we live in Aberdeen, have a direct link with Kabale Rotary. 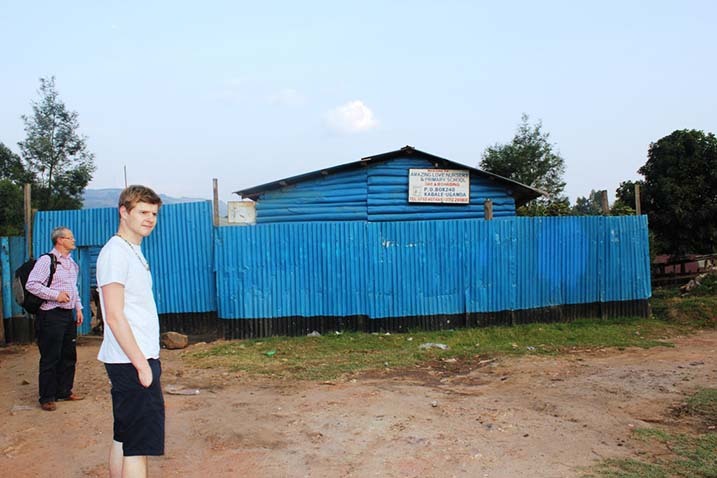 Robbie Middleton, from Portlethen Rotary Club, has been immensely helpful and practical in helping The Budge Foundation to transfer money to a bank account in Kabale, under the control of the UK and Kabale Rotary Clubs. The money is being used to fund projects, designated by The Budge Foundation, with Rotary ensuring that everything expended is receipted, transparent and fully auditable. Local Rotary members in Kabale have many contacts which are immensely useful, their assistance during this trip being simply wonderful. At the top of the school site there were two old wooden classrooms. These classrooms were close to the school kitchens, they were affected by smoke when the wind blew in the wrong direction, offered little protection from wind and rain and simply were not fit for purpose. 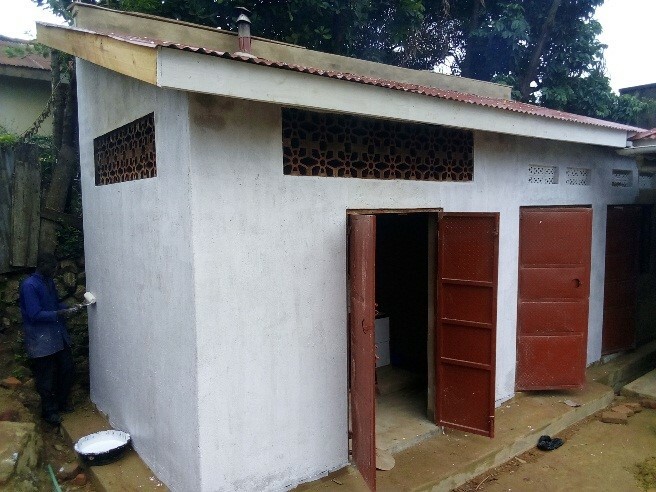 With the help of Rotary, a local building engineer was appointed, who ran a tender process for the replacement of the two wooden classrooms. Combining the contracting skills of Rotary, acting for The Budge Foundation and a professional project management team will ensure work will be completed on schedule and on budget. Therefore, in June 2012, the family travelled to Uganda. Part of the purpose of this visit to Bunono was to attend a celebration, hosted by the school to officially open the two dormitories. This was an incredible day where over 800 people attended. The family were deeply humbled by the warm welcome they received. 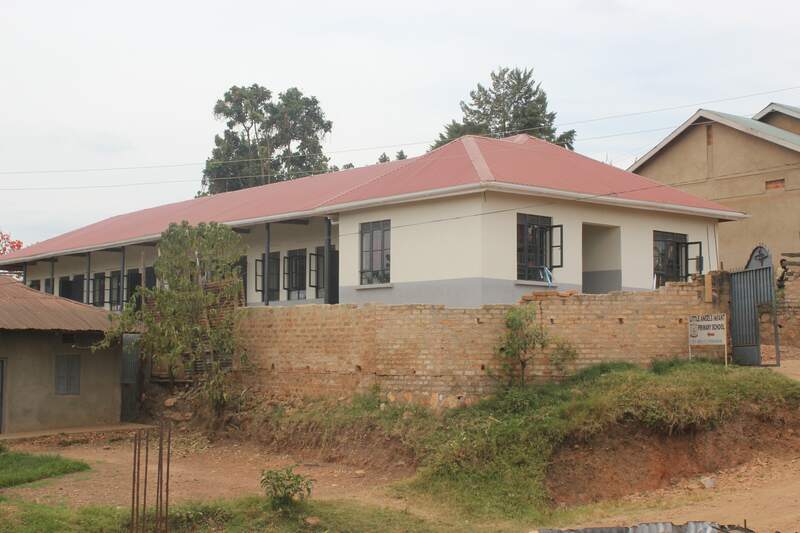 The dormitories, which can each accommodate 100 children, have been completed to a very high standard. They have bunk beds with mattresses (a real treat in Uganda), and each child has their own cupboard. Many of the children who live in the dormitories are orphans and all are cared for by two wonderful matrons. Children in Uganda love to board. Joshua, aged 12, said; ‘if I board I gets extra lessons and I can do better at school’ and ‘it is wonderful to have a comfortable mattress to lie on’. Spending time with the teachers and governors it became apparent which other needs were most urgent. None of teachers at the school had desks or chairs, no cupboards in any classroom to store equipment, too few desks, blackboards were poor in quality sometimes just being black paint on walls. In addition, no chairs existed in the staff room nor were there any fire extinguishers on the site. Although not of the same importance the existing football posts, netball rings and posts, volleyball nets and posts were beyond repair. All the above equipment has been funded and provided. Iain and Andrew identified that the existing playing field, on a considerable slope, was very poor for any games. It was felt if the children were given a better social experience of attending school, this would be very positive. An announcement was made to them that the playing field would be levelled and the reaction received was ear shattering! 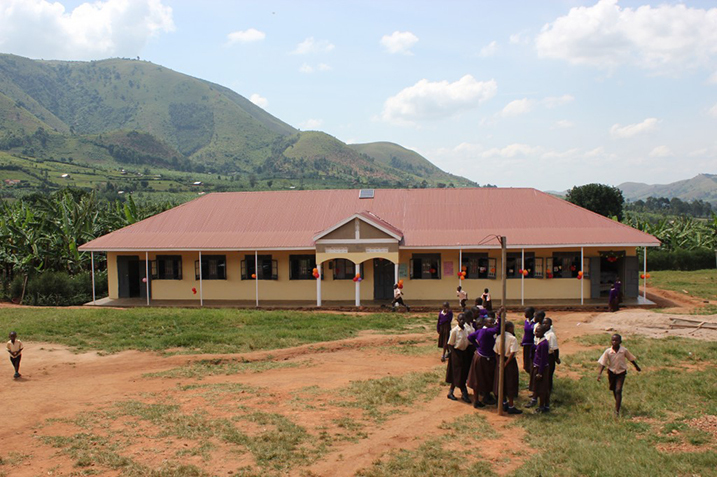 This was the first school which The Budge Foundation became involved with in Uganda. 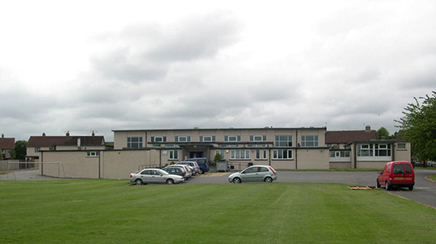 In 2011 the Budge Foundation heard, through an article in the Forres local newspaper, that this school had run out of money to complete an accommodation block for girl pupils. 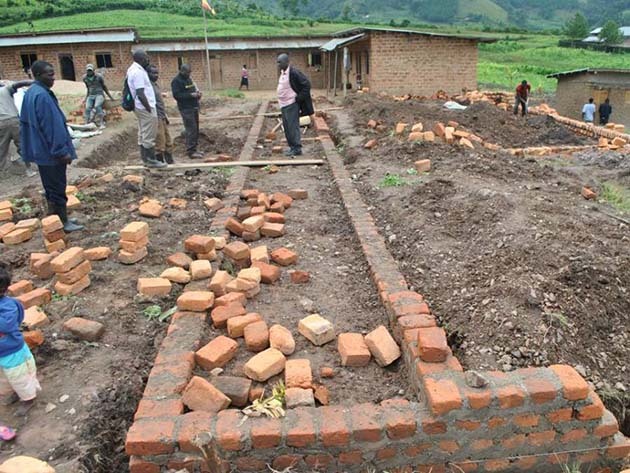 In April 2011 Lorraine travelled to Bunono to see first-hand what further assistance could be provided and realised, as well as the requirement to complete the girls dormitory, a second accommodation block for boys was required. It was agreed funding for both buildings would be provided. 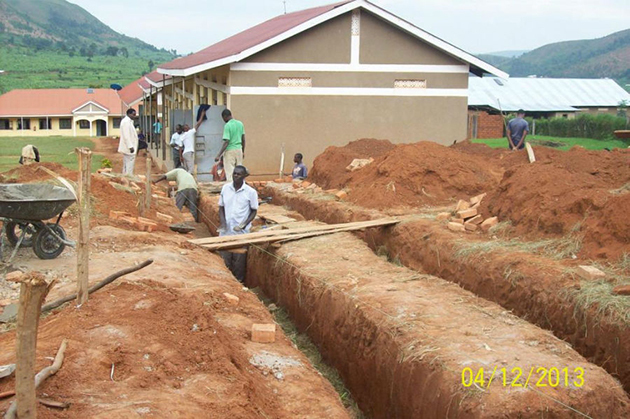 With the completion of the two dormitories a need was identified to increase available water supply. Two tanks, each with a capacity of 10,000 litres, have been installed; this capacity being sufficient to operate the showers, toilets and for everyday purposes for the foreseeable future. 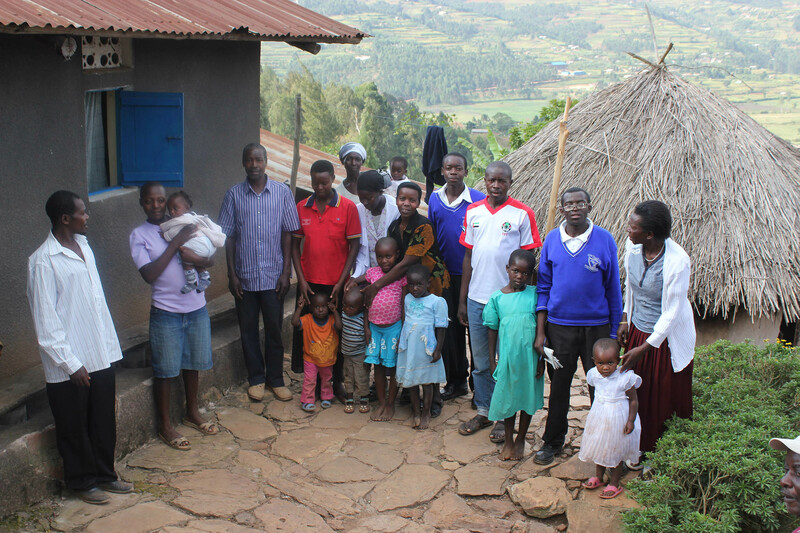 Lorraine first met the Baguma Family on her first visit to Uganda in 2011. Currently two three family members are sponsored through school via The Budge Foundation. 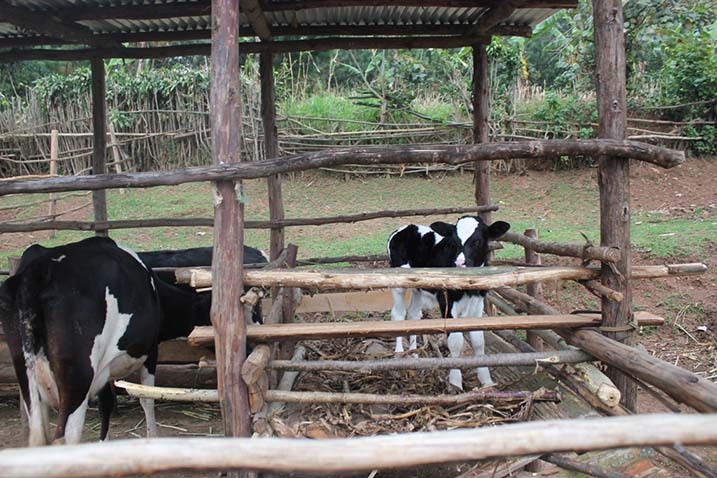 James Ndomirwe of Kabale Rotary Club is a farmer and came up with the idea of this family running a ‘zero grazing’ cow operation. 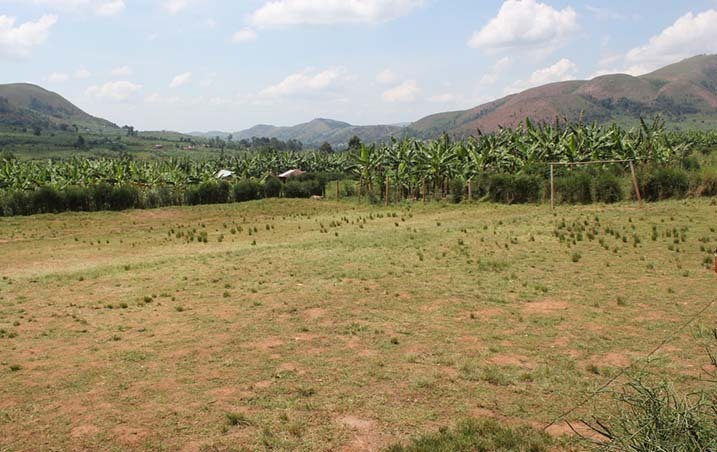 The part of Uganda in which The Budge Foundation operates is extensively farmed and there are not large areas for cows to graze. Accordingly, where they are kept, it is for milk production. Zero grazing cows effectively means that the animals are tethered at a shed and grazing is brought to them. The Baguma family are very poor, however the idea of them being involved in zero grazing cows allows the whole family to start a small enterprise. Approximately 10 litres of milk per cow is will be produced each day. The milk is will be used by the family for food and also sold which will gives this family a much needed revenue stream. The Budge Foundation agreed to fund the cost of buying 4 cows, a shed and feeding troughs. Due to infirmity of the senior members of the family, only one member of the family is working with the cows. Although one cow has calved, the sheer physical demands of cutting fodder and carrying 60 litres of water, per cow, up the hill each day, is proving very hard. 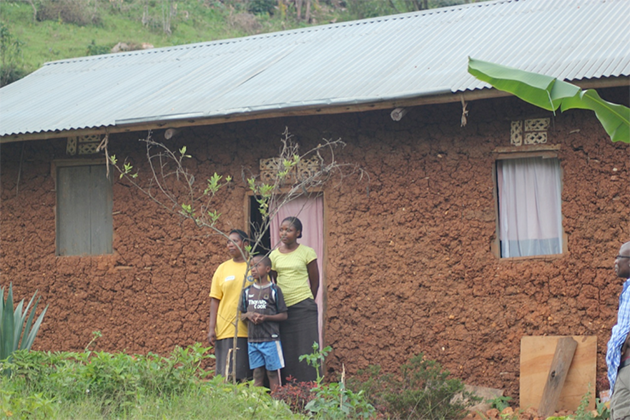 Rotary International are fully committed to helping the family with this project and have done a marvellous job. 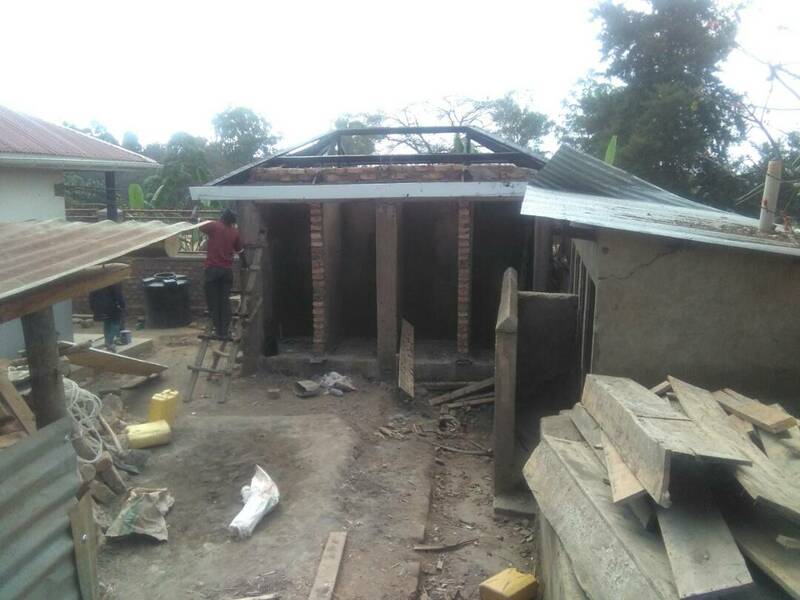 To allow the project to realise its full potential, so that the Bagumos can enjoy milk as a food source and also generate income from selling milk, The Budge Foundation have agreed to fund the cost of a labourer for a one year period. We appreciate that if the physical work can be shared the Bagumo family will quickly see the benefits which can be derived from owing Zero Grazing Cows and make their lives better. The stalls were complete and the first cow was settling in. In certain exceptional circumstances, The Budge Foundation, sponsors the further education of young people. Faith Twinamasik’s family background is one where her mother doesn’t keep good health and is a single parent. The family is very poor and their remote home is very modest. Lorraine visited the family home in 2011 to meet with her mother and young brother Miracle. Miracle was 10 years old at that time and an expert on all things Manchester United!! Lorraine was struck with what a loving family this was, where the family home was clearly loved and much cared for. 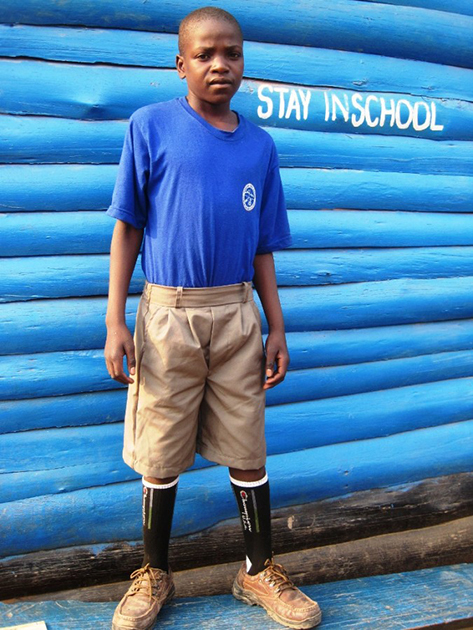 We first met Gadson back in 2013 and agreed to fund his final year at secondary school. When we first met him we were hugely impressed by this extremely modest and likeable young man. Unlike many Ugandans Gadson ambitions didn’t centre on following a more traditional route of going to university and study more conventional subjects. Gadson wants to be a graphic artist. We saw first-hand the beautiful pottery he produced and agreed, if he did sufficiently well in his final year at school, we’d fund him through art college. With driving ambition he achieved the required grades and today is studying at Michelangelo College of Creative Arts in Kampala. 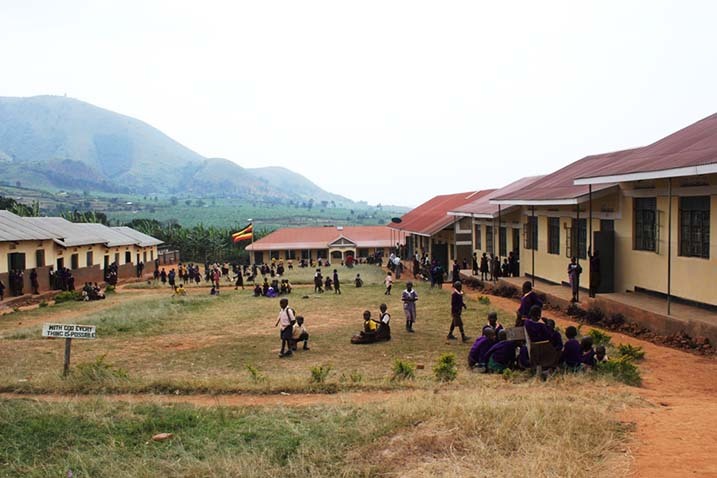 In 2011 a relationship was established between Hazlehead Primary School in Aberdeen and Bunono in Uganda, after a visit by Lorraine Budge, to Hazlehead, explaining the Foundation’s work in supporting the education of children in Africa. 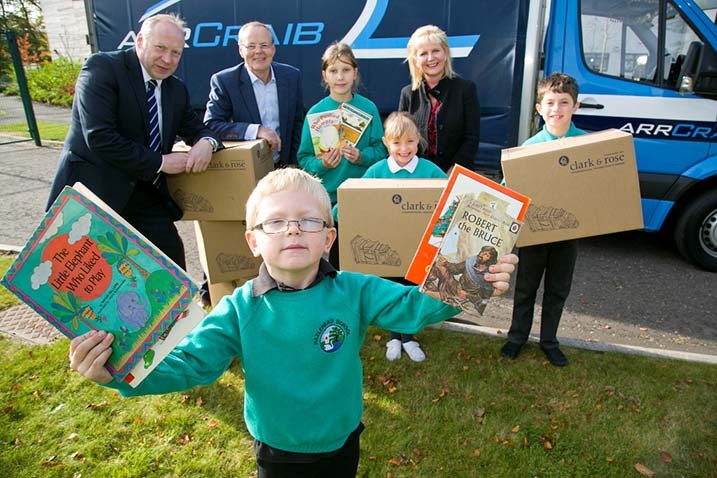 In 2014, due to the very generous sponsorship of Aberdeen based transport company, ARR Craib, a consignment of books, collected by staff and pupils of Hazlehead Primary School was sent to Uganda. Books are in very short supply in Uganda and this gift will benefit the education of many children. For £250 per year you can sponsor a child in Africa. This sum covers education, school uniform, boarding, food and educational materials. This will transform a life and give an individual far better opportunities. If you’d like to consider sponsoring a child please contact us. The Tolbooth on the High Street in Forres is an impressive building which had has been underutilised for many years. A band of forward thinking and enthusiastic individuals in Forres identified the building could be used as both a tourist attraction and a local facility for all residents. The ownership of this building has now been transferred to the Forres Heritage Trust under a Community Asset Transfer, ensuring it has a long term future. 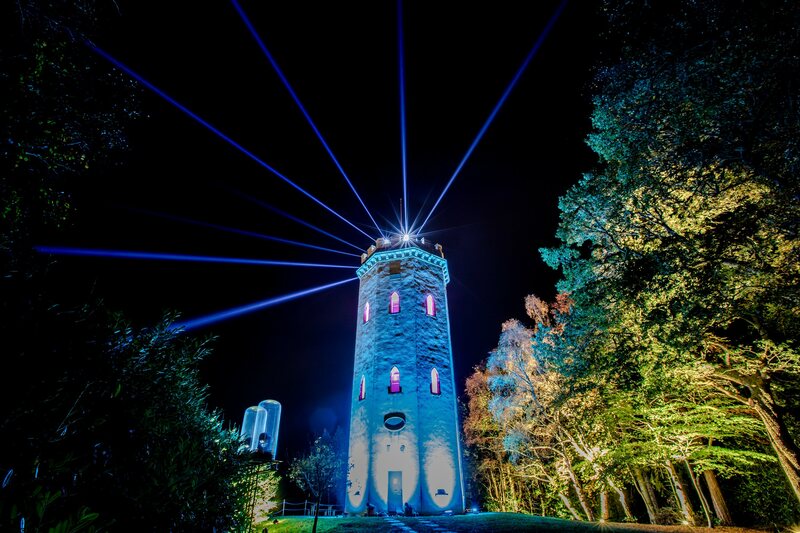 Due to budgetary constraints on the local council, Nelson’s Tower, which overlooks Forres, was closed to the public and now, with the help of close to 100 volunteers is open to the public. You will know when it is open, the flag will be flying, however it is generally open from the beginning of April to the end of September, 7 days a week from 2-4 pm. 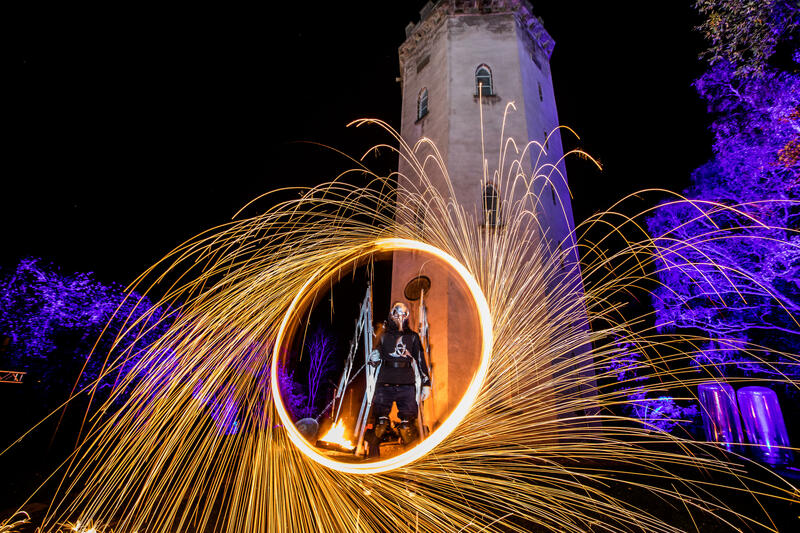 Since 2012, when Forres Heritage Trust took over the responsibility for opening the tower to the public, the number of people visiting has been amazing. It is great to see this tourist attraction been brought back to life. 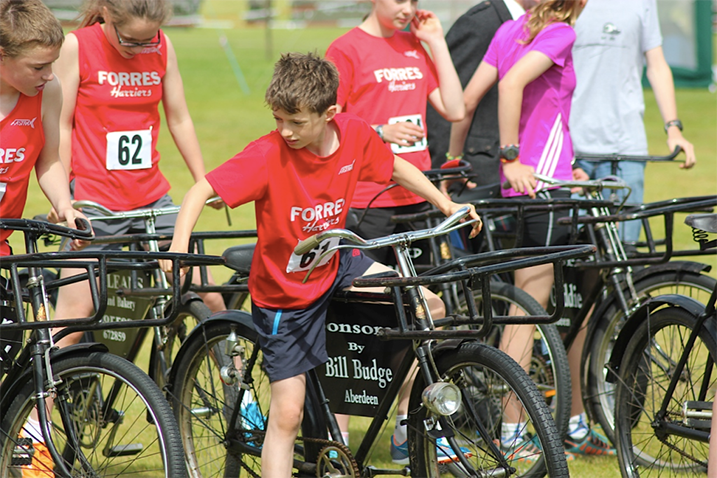 The Budge Foundation have donated £10,000 to the Forres Heritage Trust. 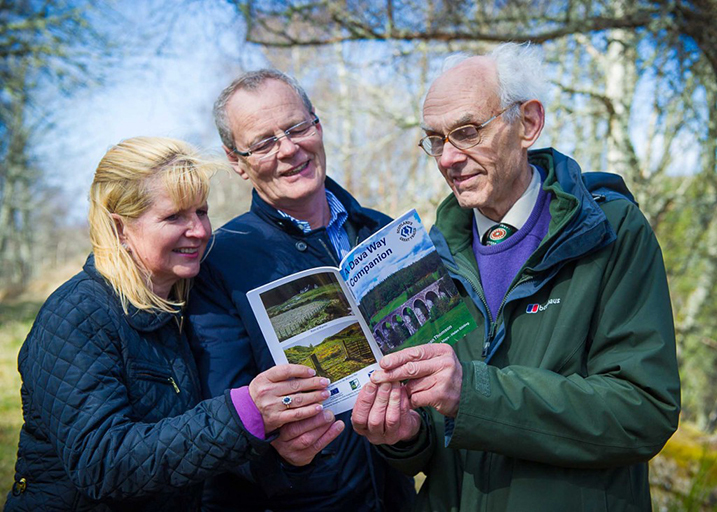 Walkers and cyclists on the Dava Way can now learn more about life in the beautiful surroundings of the path as they take the old railway route from Forres to Grantown On Spey. 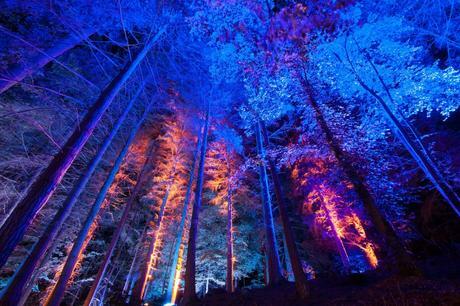 As a youth, Bill Budge spent many happy Scout trips at a croft, ‘Bogney’, close to the track and was aware of the local folklore, flora and fauna, geography, history and other nuggets of interesting information connected with the sweep of woodland, moor and farmland. Fearing that such a rich vein of local culture could be lost over time, he and Lorraine provided a £10,000 grant, through The Budge Foundation, to capture that knowledge for the benefit of Dava Way users. 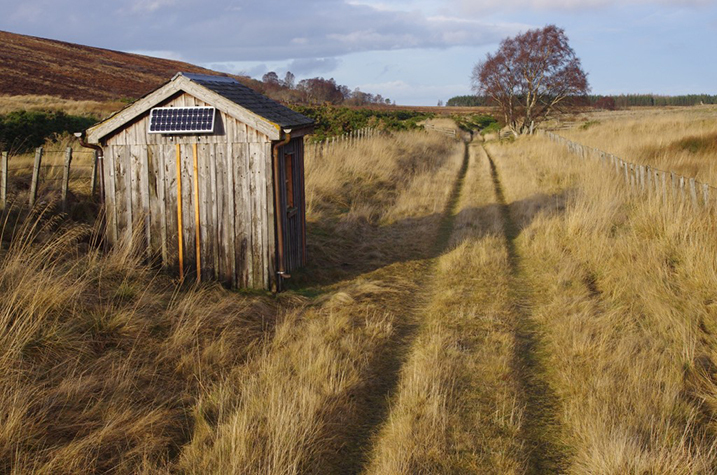 The money, donated to the Dava Way Association which established the 24-mile trail, has provided 18 information boards along the way, restored the route’s half-way hut and funded a 70-page booklet, A Dava Way Companion. The donation by The Budge Foundation has also been augmented by Moray LEADER, a European Union rural development fund. 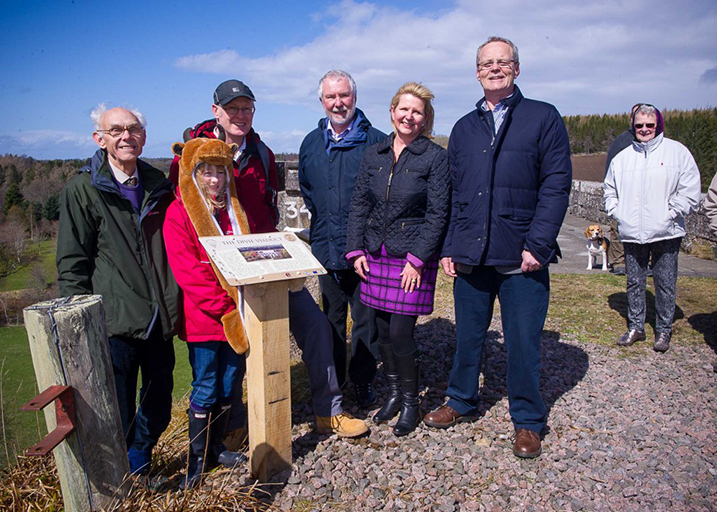 The first board was unveiled on Sunday 28th April, by Lorraine, in a ceremony at the Divie Viaduct, also attended by Lady Laing of Dunphail. Her late husband, the landowner, saved the viaduct from demolition after the railway line was closed in the mid -1960s. “The walk is wonderful, winding its way through beautiful lowland country to the very bleak and exposed Dava Moor and we thought it was so important to retain not only the stories linked to the area but to inform people about their surroundings as they enjoy the trail. Bill also praised local Dava Way Association volunteers who have given up their time to install the noticeboards and revamp the half-way hut. The publication spans more than 250 years of history, culture and daily life in the area. 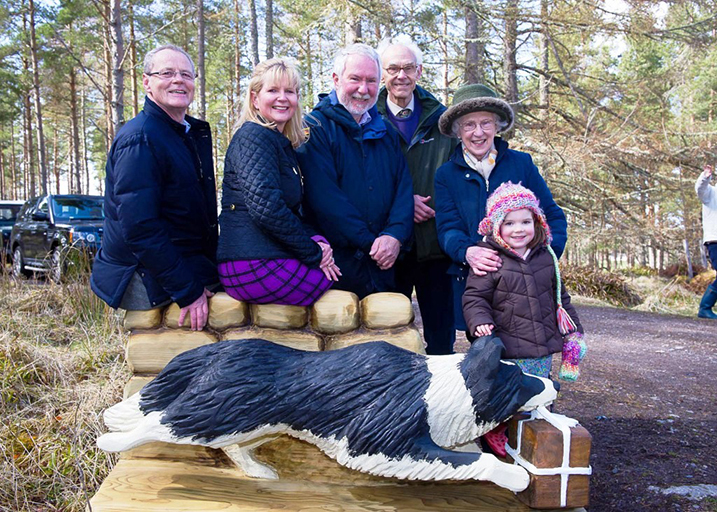 It includes the story of crofter Mrs Macdonald whose collie Jess has been immortalised in a wooden sculpture in memory of her regular run to fetch her mistress’ messages off the train. The order would be put in via the postie and dispatched on the Grantown train. When the train came through, the driver would slow down, blow the whistle in the cutting and the dog would race down to collect the parcel, tied with a special bow so that she could correctly identify it and pick it up. The Dava Way Association was formed in 1997 when the route was impassable. It took until 2003 to negotiate with landowners and start work, with the trail officially opened in September 2005. It is maintained, upgraded and supported entirely by volunteers. In March 2013 the Dava Way Story Board project reached its conclusion with three final developments. First, two new benches have been installed, one a family picnic bench at the Halfway Hut making it an even more attractive stopping off point for rest breaks. The Halfway Hut itself featured in a Radio Scotland broadcast as a highlight experience on the Dunphail. The second simpler bench is at romantic Scurrypool bridge – a picturesque point on the Altyre Burn. Next a larger than life size wood carving of a dragoon , by Iain Chalmers from Culbokie, has been installed on the trackside just south of the Dava summit. The statue commemorates the night march on 1 May 1690 which led to the rout of the Jacobite army camped on the Haughs of Cromdale, a hugely significant event in the history of Scotland’s claims to independence. The material is an abridgement of the text of the 72-page Dava Way Companion which is available, at £4.95, from local booksellers. 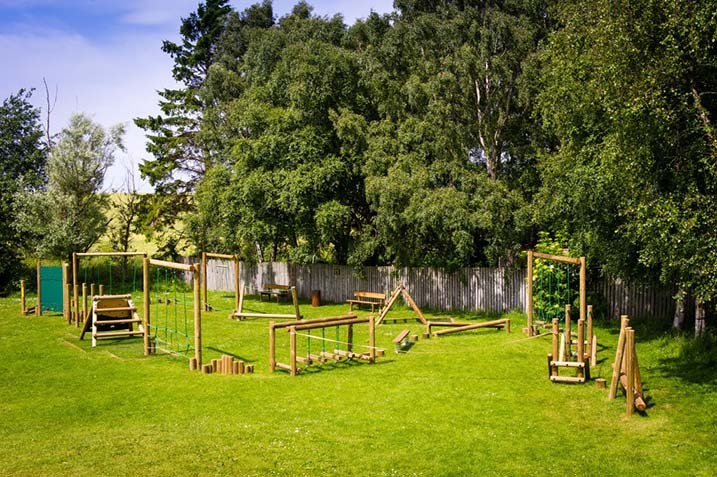 The Budge Foundation, played a pivotal role in the creation of an outdoor children’s play area at Dyke Primary School near Forres. 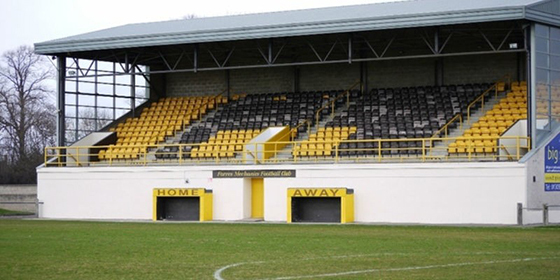 The Foundation provided £14,000 towards the project, which cost around £20,000 in total. 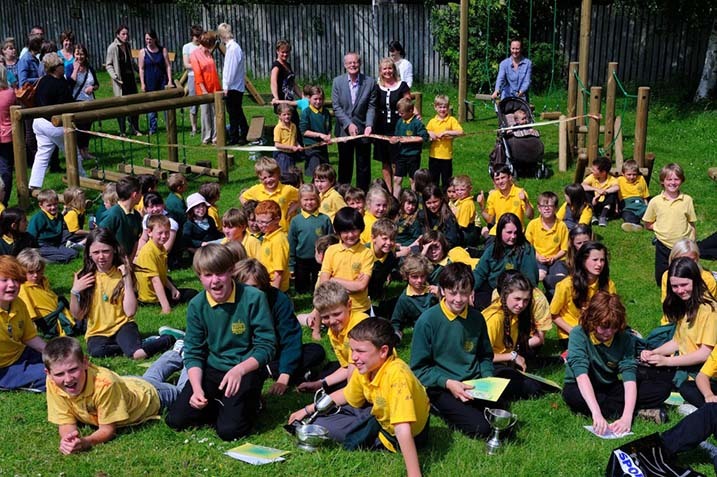 The school, which teaches around 100 pupils, previously had little provision for outdoor play. Although the site boasts a large playing field and woods to the rear of the building, it possessed only basic equipment, which was in need of an upgrade. The new equipment includes climbing apparatus, wooden bridges, a storytelling chair and circle time area as well as working musical instruments such as drums, cow bells and xylo-chimes. The improved facilities will also be available to the local community, including pre-school children, over the summer holidays as well as on evenings and weekends. As a result of the hard work put in by the parent council, an initial £4,000 was raised through activities including summer and Christmas fairs. A further £2,000 was provided by a grant from Foundation Scotland. Additionally, Communities 2014, part of the Big Lottery Fund, has provided a separate grant for thermoplastic playground markings. “We cannot thank the Budge Foundation enough. 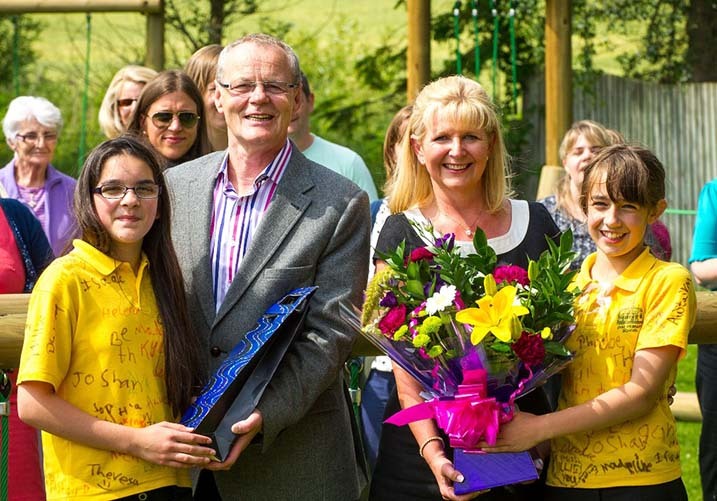 Bill and Lorraine’s big-hearted contribution has made a massive difference to the school and will allow us to provide greater outdoor learning. “There was not much in the way of outdoor equipment for the children to play with before. We are therefore delighted to have been able to put something in place which the entire school, as well as the wider community, can enjoy. “This project has been ongoing for around 18 months now so to see it come to fruition is a tremendous feeling. If it wasn’t for the support of The Budge Foundation then we wouldn’t have been able to make the wide range of improvements in one swoop." 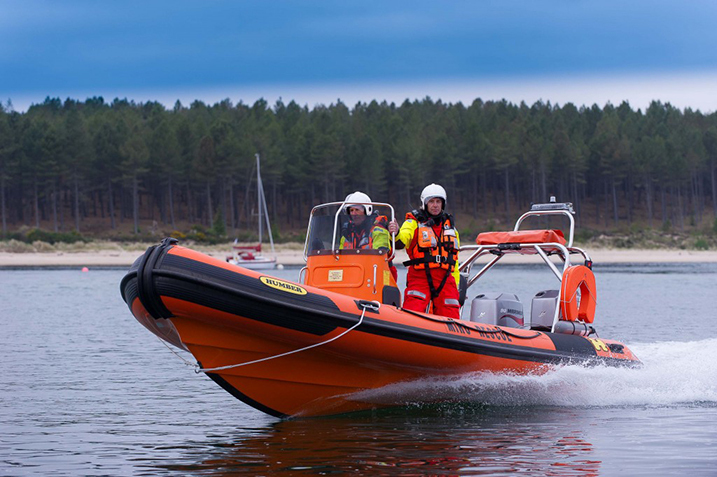 The Moray Inshore Rescue Organisation, (MIRO) was formed in 2005 when it became clear that there was a need for a dedicated rescue service covering Findhorn Bay in and its approaches. Findhorn is a beautiful village on the coast of Moray in Scotland and is a wonderful place to visit and enjoy stunning scenery in one of the most beautiful parts of Scotland. In August of that year the first boat was launched, a 5.8m Humber Destroyer. The rescue boat was named Glyn Whitehead in memory of a Findhorn sailor who tragically lost his life at sea two years earlier. In 2011 The Budge Foundation were approached for a donation and were delighted to help, the sum donated being sufficient to approximately cover one year’s operating costs. It was subsequently recognised that MIRO required a larger, modern vessel to ensure it continued to provide the best possible level of assistance. 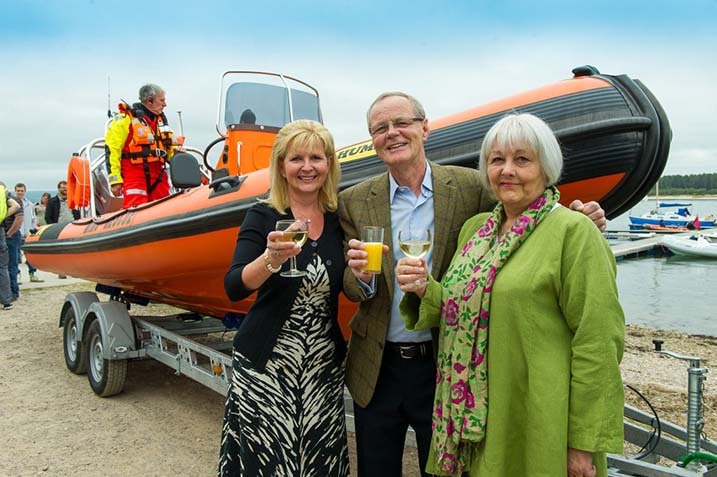 The Budge Foundation played a pivotal role in securing a replacement lifeboat; providing a grant to cover the entire cost of the hull and ancillary equipment, amounting to more than £26,000. 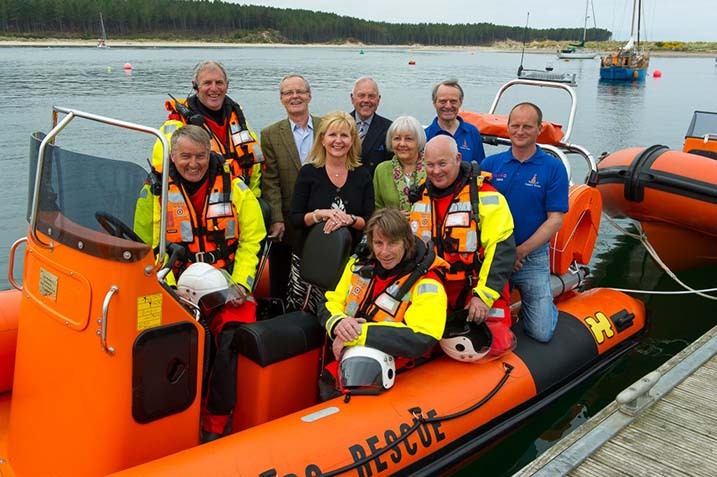 The customised Humber Ocean Pro 6.5m rigid inflatable boat (RIB), was officially commissioned by Lorraine Budge on Saturday June 8 2013 at Findhorn Marina, near Forres, and is now available for use in support of all of MIRO’s operations. The new boat’s name – the Glyn Whitehead II was approved by the Princess Royal on a visit to the MIRO headquarters in December 2012. “I would like to extend my gratitude to the Budge Foundation. The way their support is geared towards helping local causes is admirable. The Moray Inshore Rescue Organisation is a charity organisation that relies on donations, sponsorships and funding. It provides a 24-hour inshore rescue service, 365 days a year. Since it began operations in 2007 it has received more than 70 calls, usually through the Aberdeen Coastguard Rescue Co-ordination Centre. The existing boat used is a 5.8m Humber RIB powered by twin 60hp engines. Whilst this vessel has served well, increasing maintenance requirements have prompted MIRO to seek a replacement. Everyone in MIRO is a volunteer including the seven active crew members and three affiliated crew. The organisation receives no official funding and is entirely dependent on donations to cover the considerable day-to-day expense involved in maintaining this vital service. 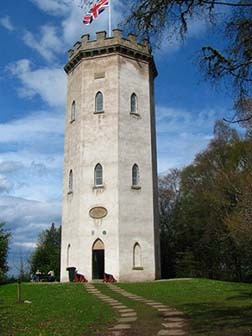 Findhorn Heritage Centre was established through the enthusiasm of local people in the Findhorn area. Renovations, including that of an old ice house, enriches Findhorn's wonderful history and preserves this legacy for future generations. The Budge Foundation have made a number of donations to this organisation including one to substantially fund the building of an archive centre. 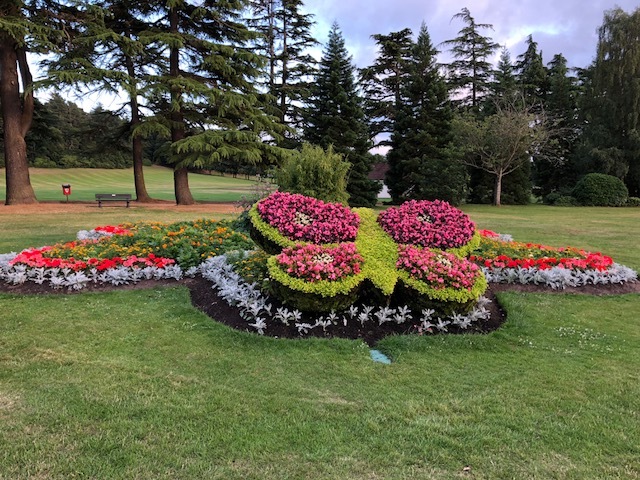 We are very conscious that to maintain the magnificent flower displays in Grant Park, Forres, financial assistance is required to cover the costs of the many plants which are used to such good purpose. We are delighted to have agreed a funding package for a 3 year period which will cover the cost of plants for one large flower bed from the summer of 2018, with ongoing support beyond 2021 to be agreed. Forres is known for its amazing summer flower displays in parks, window boxes and hanging baskets. With ever increasing budget restrictions imposed on local government the flower displays in Forres became a victim of a reduction on expenditure in this area. A number of people in Forres decided that it was inconceivable that the town would not continue to be recognised for it floral displays. 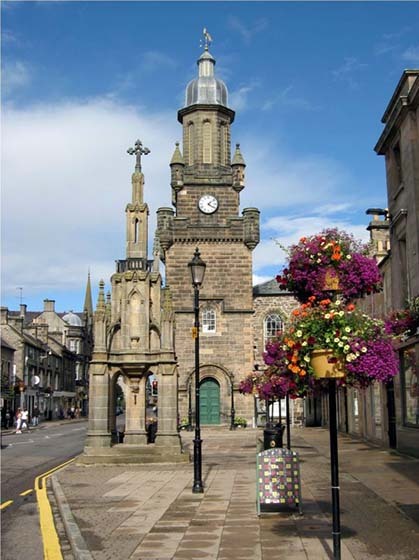 In order to water the many hanging baskets in the town a water bowser is required and, the original one used by Moray Council employees, was not available to this new group. 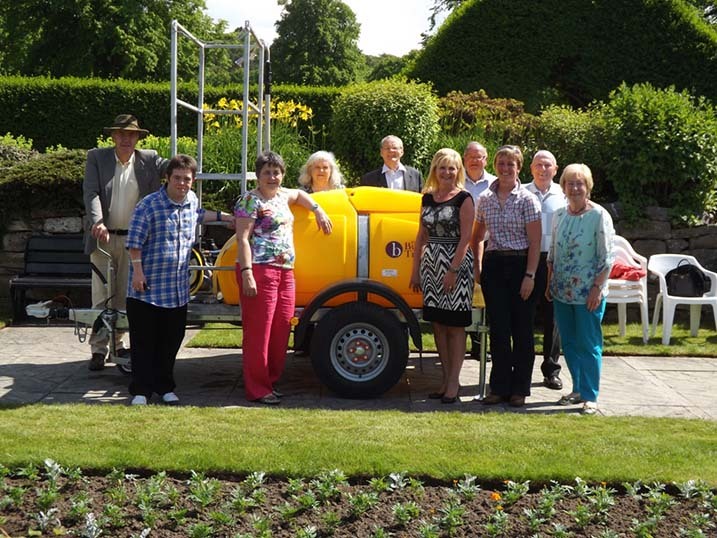 The Budge Foundation were approached and asked if they would fund the cost of a water bowser, which we were delighted to do, enabling so many people to enjoy the hard work of this fantastic band of local residents. The work which has been undertaken in pursuit of maintaining Forres’s name as a place to see amazing flower displays is immense. 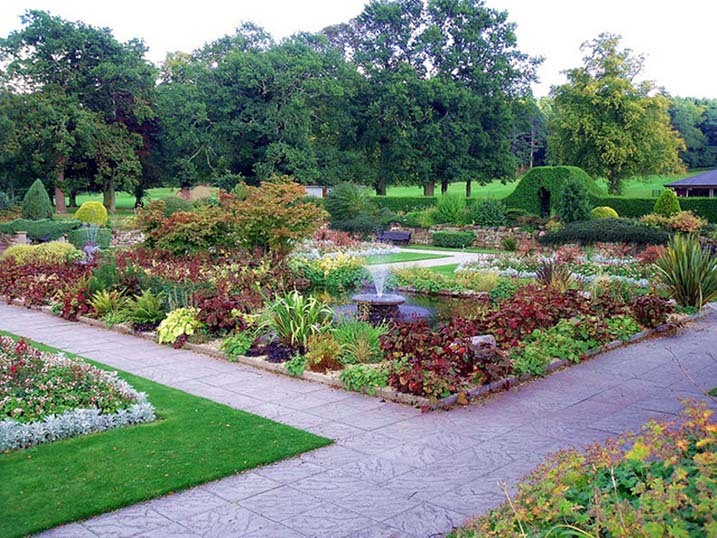 The band of volunteers have done incredible work including extensive work in renovating the fountains in the sunken gardens of the Grant Park. These fountains have not worked for over 10 years and to see them working alongside the beautiful formal flower displays in this area is magnificent. Congratulations to all of the volunteers… what a magnificent job you have done. When approached for further assistance so that the west end of the High Street could have a similar display to the remainder of this major artery, we were delighted to give a further award . 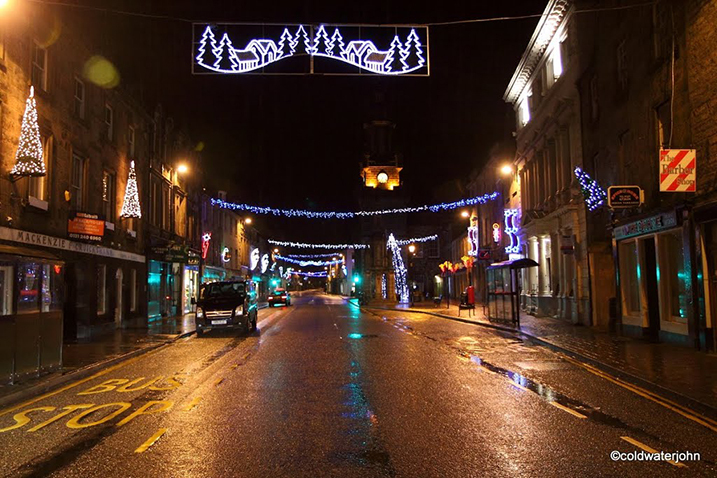 Each year a hardy band of volunteers installs Christmas Lights on the main street in Forres. The display is wonderful and to sustain and expand this display involves fund raising. The Budge Foundation were delighted to make a substantial donation in 2011 to this most worthwhile cause. 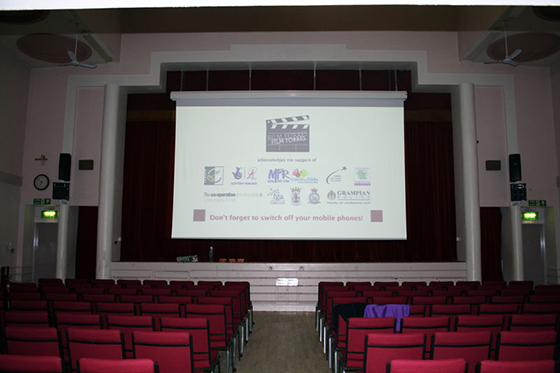 Film Forres is a community initiative which allows people to view films, on a large screen in the local Town Hall. A substantial fund raising exercise took place to raise the money required to buy equipment to allow this venture to succeed. When approached by Foundation Scotland for a donation, The Budge Foundation happily supported this excellent project. Having been brought up in Forres, Bill was receptive to an approach from Forres Mechanics Football Club, to give a donation. He and Lorraine agreed to the request; on the basis that it would be used exclusively for the development of their youth teams. 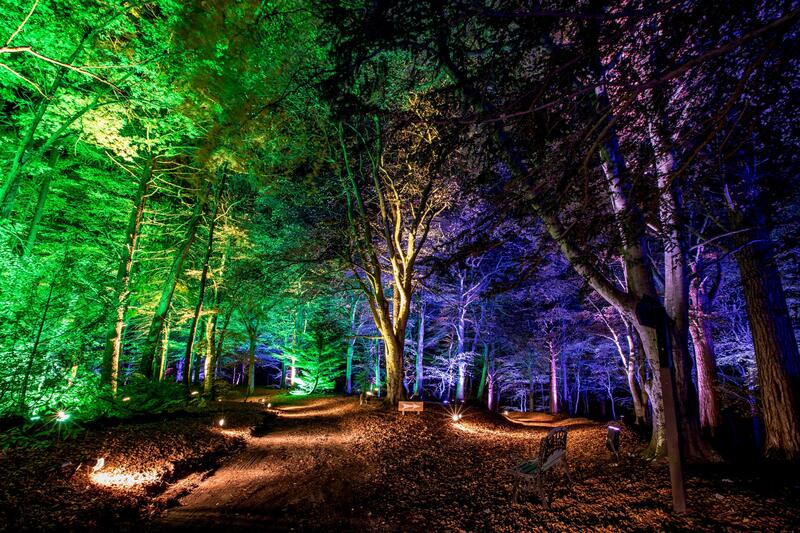 Conscious that Brodie Castle was not used by families with children, as much as it might be, The Budge Foundation were very enthusiastic when approached, in mid-2010, by The National Trust of Scotland to ascertain if it would be possible to improve the limited children’s play area which existed at the property. Upon inspection of the existing play park, Bill and Lorraine decided a much further reaching plan should be pursued. 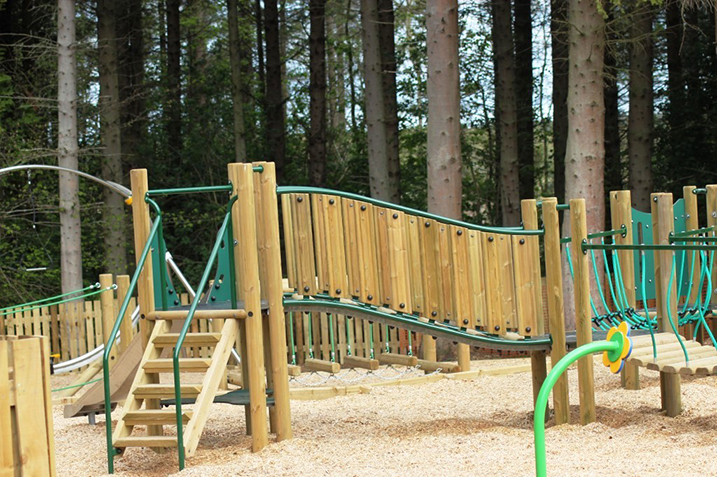 After reviewing the various alternatives sites available it was decided to build an exciting new play park with equipment which would excite, stimulate and allow children of all ages and abilities to have a great deal of fun at Brodie. 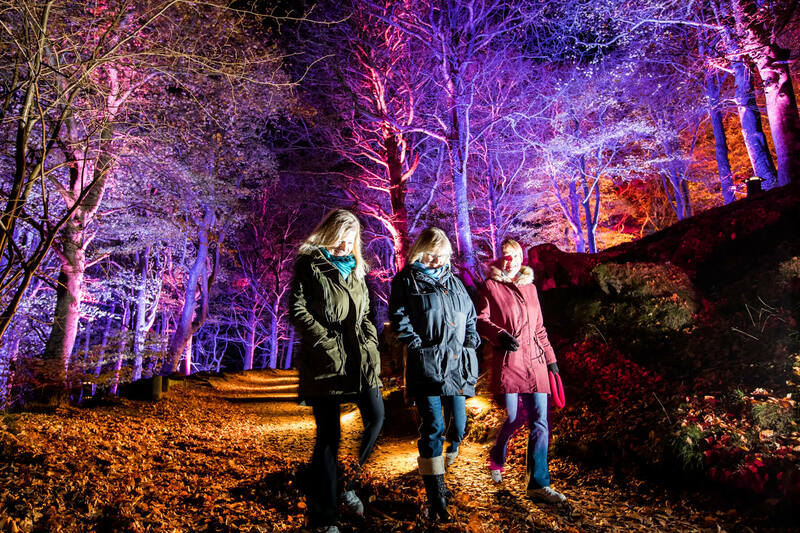 The Budge Foundation were also conscious, with the potential economic downturn in the Moray region, resulting from the closure of RAF Kinloss, that Brodie Castle required more visitors to make it more financially self-sufficient. They recognised that if the cafeteria and shop facilities were improved this would further increase the number of people who would want to visit the castle. Knowing that parents/ guardians often want to be close to their children when using a play park, it was also decided to build a patio area adjacent to the cafeteria and the play park where people could sit and enjoy a drink and snack in alfresco surroundings. Road signs indicating the exact location of Brodie were assessed to be insufficient and new signage organised to highlight all that Brodie has to offer. 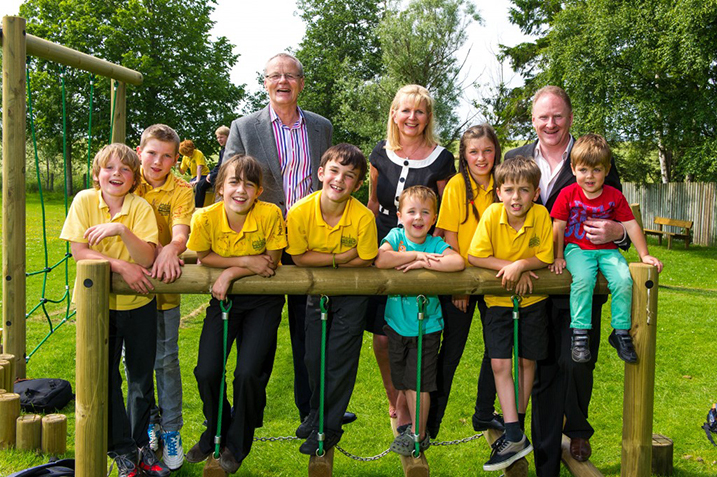 The award to The National Trust for the construction of the Play park together with a fund for its ongoing upkeep is amongst the largest award made by The Budge Foundation, in total being over £80,000. Elgin Youth Development Group (EYDG) was established in 1998. The objective of the charity is to provide personal and development opportunities for young people of secondary school age in a safe and inclusive place where they can meet and socialise away from pressures of drugs, alcohol and gambling. EYDG runs projects and activities that positively influence young people from all social, ethnic, religious and cultural backgrounds to integrate and become valued and active members of their community. EYDG is seen as an example of best practice by the Princes Trust in the establishment and running of a Youth Café, and often welcomes visitors from other Cafés or councils who are interested in setting up their own charity. The group recently completed a community asset transfer of their building and an adjacent property from Moray Council and now own both buildings. EYDG has 2 arms, Elgin Youth Café and The Inkwell through which they offer a range of activities for young people aged 11 to 24 including outdoor activities, after school clubs around health and well-being, holiday programmes, confidence building and life skills courses, a variety of training and volunteering opportunities and job opportunities. Over 60% of the young people who utilise the facility come from areas of multiple deprivation. EYDG also has Delta Force which is a project of young volunteers “doing good” in their communities such as graffiti removal, beach clean-ups, litter picks and fund raising for other charities. The Inkwell houses meeting space and a community kitchen where the group offers cooking classes to the most vulnerable in the community as well as young people, young parents and people with disabilities. Most of the activities promote fitness and well-being. With Moray being the 3rd highest region in Scotland of obese young people, it is hoped that the programme will encourage young people to take better care of themselves whilst boosting their confidence and self- esteem. 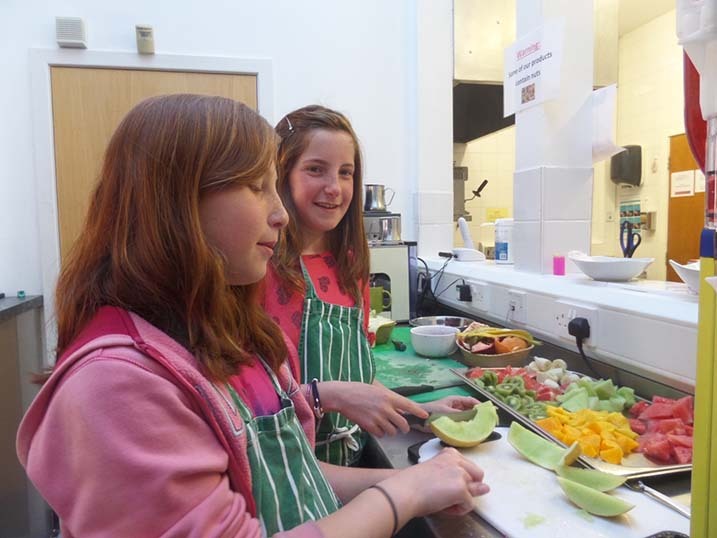 For many of the young people, learning basic cookery skills will mean that not only will they enjoy a healthy meal but that they will also be able to cook at home where some of them are carers or face challenges due to family alcohol or drug misuse issues. The Budge Foundation are delighted to support the operations of this great charity. 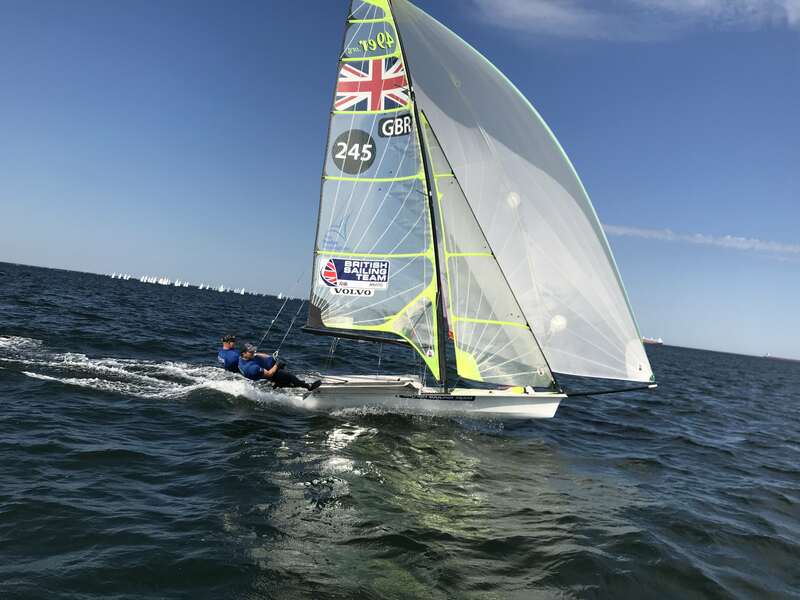 We have been delighted to assist two young Findhorn sailors, Gillies Munro and Daniel Harris, in their quest to represent Great Britain at future Olympic Games. 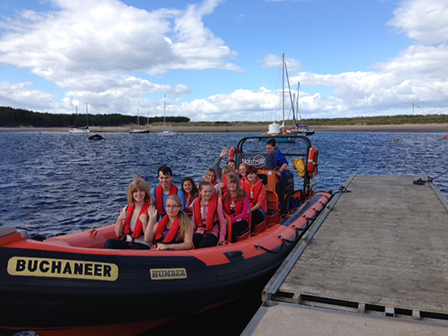 The lifelong friends come from Findhorn and have grown up sailing in the surrounding waters. 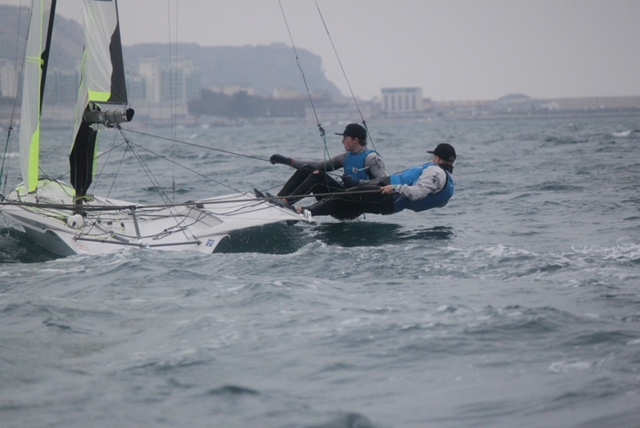 They began sailing together competitively in 2012, against other youth teams, although they already had significant experience of racing at club level. Members of the Royal Findhorn Yacht Club, they initially sailed a youth-class boat – a 29er with a single trapeze and have progressed to the Olympic-class 49er. The larger boat is roughly double in size and has a double trapeze as well as requiring greater strength and skill to handle. We are delighted that these young men continue to juggle their academic studies and their ambition to represent the UK at the Olympics. They are now part of the Olympic Development Squad, of which from 4 crews, one will be chosen to represent the UK at the Olympics. We are delighted at this massive achievement and confident you will achieve their goal. Been a busy year for Daniel and Gillies, juggling their university studies and progressing their yachting activities. In early September they competed in the 49erFX Junior World Championships in Flensburg, Germany and achieved a very creditable 7th place. 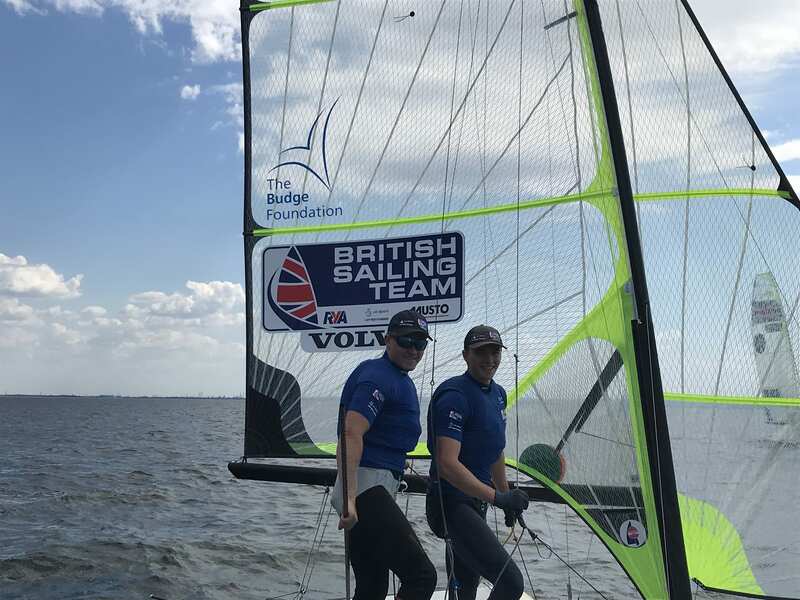 Following their success in Germany, in mid-September, at Hayling Island near Portsmouth on the south coast of England, they achieved 1st place in the 49erFX class UK National Championships. Fantastic result - well done. In April it was time for the National Championships, held in Weymouth. The boys did extremely well and finished in 3rd place, the eventual winners coming from New Zealand and being the world champions! From April, the boys sailed in the South of England, Holland and Scotland achieving well but knowing on the horizon in July was the World Championships in Canada. In Canada they finished 7th overall in the World Championships, which is a magnificent effort, and was achieved against difficult circumstances where the decisions of umpires certainly didn’t fall kindly for them. However, we understand that this is the best result ever for Great Britain in the 29er Class at the World Championships. We know they have learnt a great deal about themselves and we are extremely proud of what they have achieved. Gillies Munro and Daniel Harris are now in Glasgow studying hard. 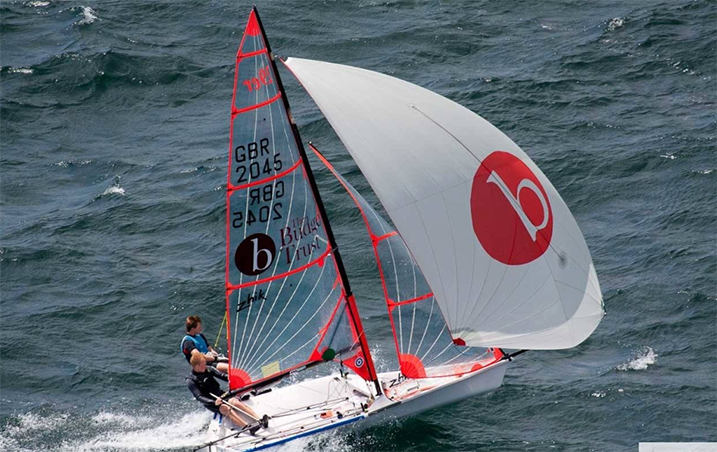 This has not stifled their sailing ambitions and they currently are putting together a training programme to allow them to compete, throughout 2015, in an Olympic class yacht 49er, big brother to the yacht which they have been racing this year. They have been awarded 2014 Sport Moray Senior Team Award, an annual award which is presented to sportsmen in their native Moray, in Scotland. Well done, this is richly deserved. 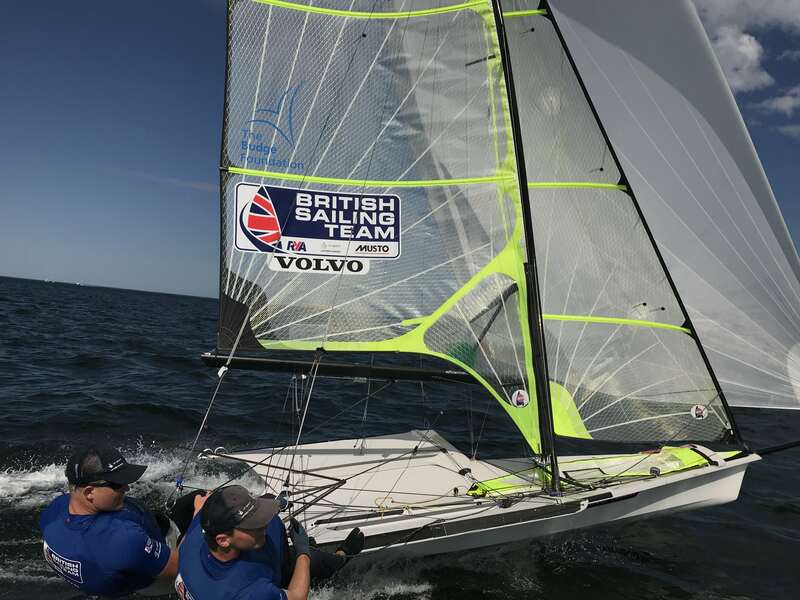 The boys competed as part of the British squad at the 29er Euro Cup, held in Lake Garda, Italy – finishing 2nd overall out of 62 boats. They also represented Britain at the 29er World Championships in Aarhus, Denmark in July 2013. 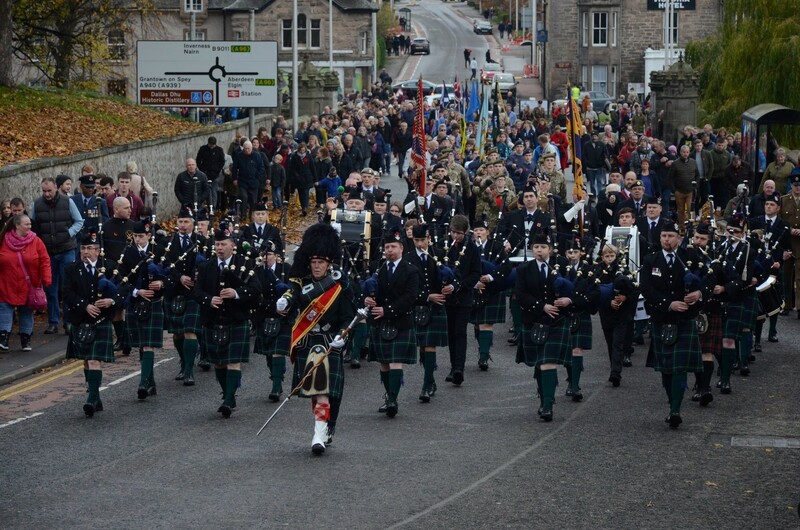 On Armistice Sunday the band, including many junior members, joined with the main band and marched through Forres. It is gratifying to see the band growing with many young people taking up the pipes and drums. A great gratitude is owed to the excellent tutoring delivered by senior members of the band. We are delighted to continue our support of the band and to see Pipe Major Munro sporting a new Feather Bonnet, recently funded by the Budge Foundation. The band every year hold an OSCARS evening where band members receive much deserved recognition for their achievements over the previous year. The band leaders had brought to our attention that the weight of the old bass drum made it a difficult physical proposition to play other than for the shortest of periods. We were delighted to fund the cost of a modern lighter replacement and present this at the OSCARS. A great result achieved of coming 2nd at the Nethybridge Highland Games. The bear mascot shown on the photograph on the latest news page was presented to the band by Forres Guides. Forres Pipe Band competed in the European Pipe Band championships held in Forres on 25th June 2016. The whole town was extremely proud of the great performance of primarily young, but very ambitious band members combining with experienced musicians to give a very credible performance. Forres hosted the European Pipe Band Championships for three years starting from 2013. Organised by the Royal Scottish Pipe Band Association (RSPBA), the event attracts around 100 pipe bands from around the world annually. When Forres welcomed the European Pipe Band Championships 2013 in June its own band had not only have a song in their heart and a spring in their step but a whole new look too. 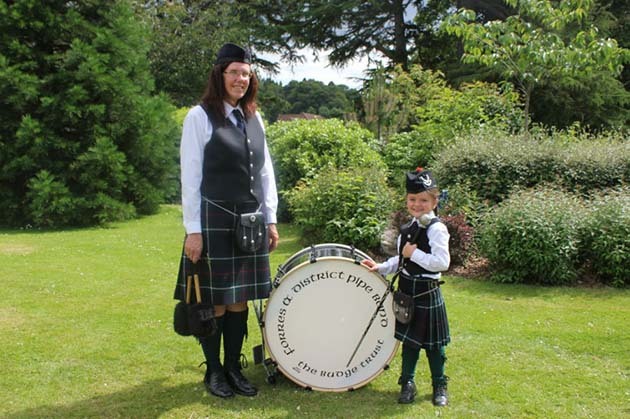 For the once-dwindling Forres Pipe Band was completely rejuvenated with up-and-coming young musicians, new members and a polished new image. 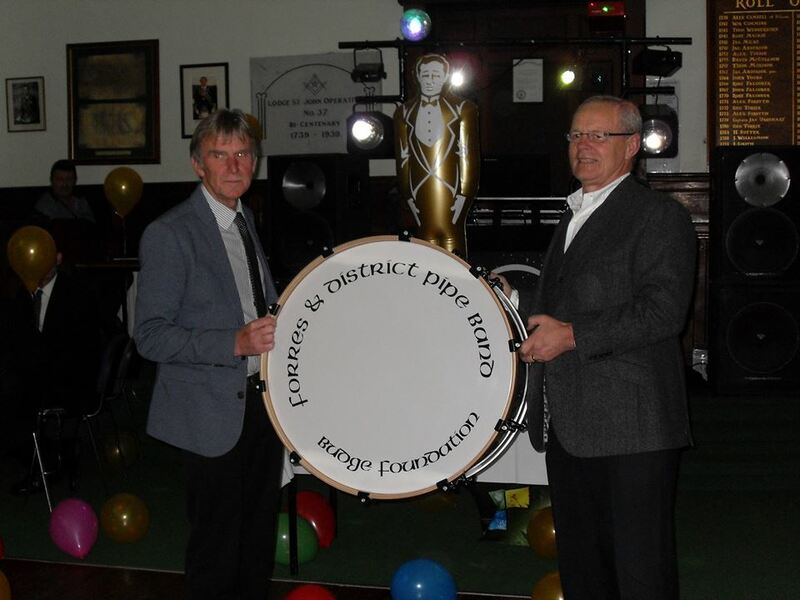 The Budge Foundation backed the group with £25,000 plus, worth of sponsorship to ensure the town had a pipe band to be proud of on the European stage. And when the spotlight shone on Forres for the championships on Saturday, June 29 2013, the musicians led the opening march from the town’s Tolbooth, sporting 25 new sets of uniforms and thousands of pounds worth of new equipment including chanters, side and tenor drums. Of particular importance to the Budge Foundation was to encourage new blood into the band and the sponsorship reflects the teaching element, with eight youngsters already taking lessons. In early 2013 such a display just wouldn’t have been possible and the amount of hard work to get the band to the standard they now are at is immense. It is also great that so many young people are now learning the pipes and drums. We are delighted to continue our support of this great event which maintains all the elements of a traditional highland games but also delivers the unique spectacle of massed pipes and drums. 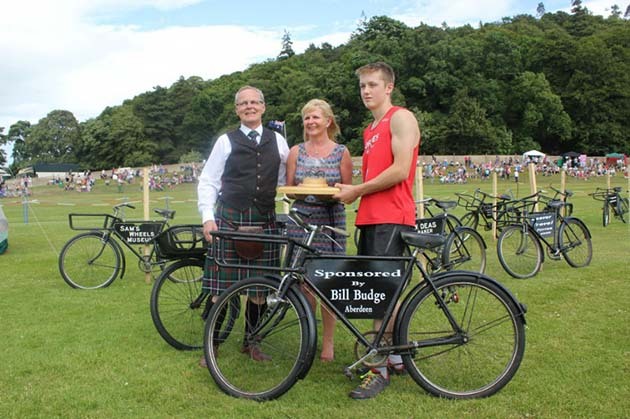 The Budge Foundation has made a long term commitment to support the Forres Highland Games. 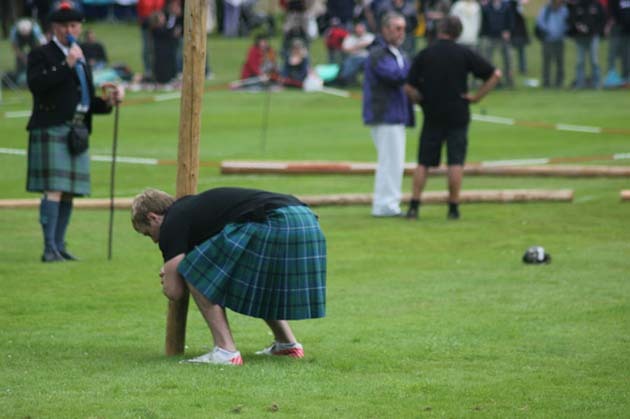 In July each year the Highland Games take place in the Grant Park at Forres, Moray. The arena within which the games take place is a natural amphitheatre which creates a wonderful and friendly atmosphere to view the varied activities which take place throughout the afternoon. The games are unique staging the only Message Boys Bicycle race in existence together with the incredible spectacle of the massed pipe and drums which normally involves in excess of 12 individual pipe bands. 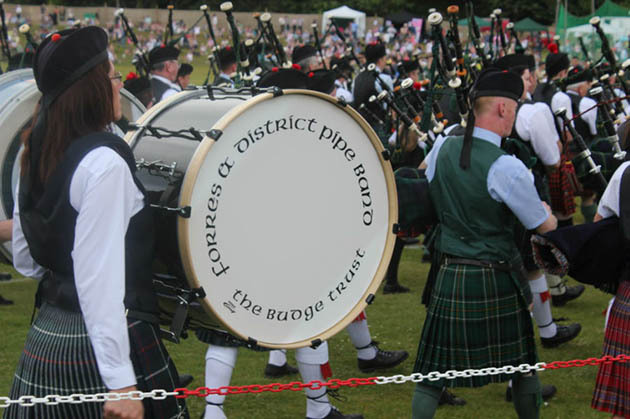 The Budge Foundation are honoured to sponsor the massed Pipe and Drums and would encourage all, from far and wide, to visit the games which are noted as being amongst the friendliest in Scotland. 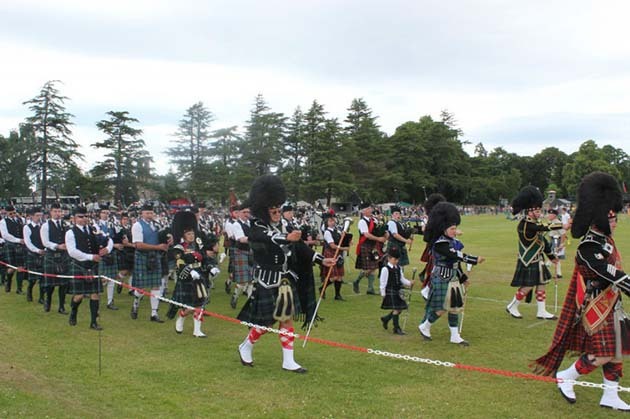 The Forres Highland Games is run by the Forres Amateur Athletics Club who enlist a magnificent bands of volunteers to enable the event to be staged. 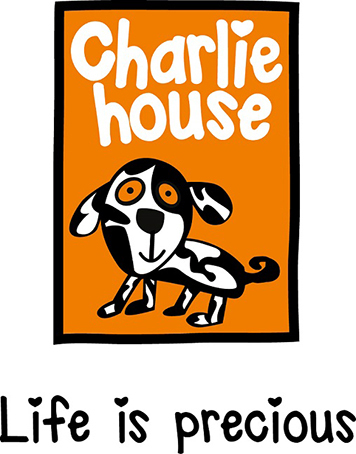 To raise the money to build Charlie House in Aberdeen is a huge undertaking. 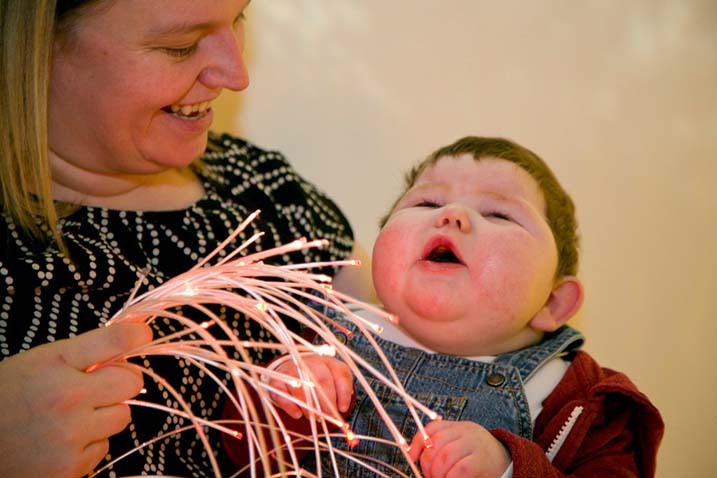 Vital services to infants and children with complex needs up to age 18 and their families. The Charlie House vision is to provide child-centred and needs-led services to support special children and their families. In 2013 The Budge Foundation donated £10,000 to CLAN Cancer Support, a leading cancer support charity in Aberdeen and the North of Scotland. The money was used as a substantial contribution to the salary of a counsellor who works with young people whose lives are affected by cancer. They also agreed, when they undertake their annual review of the charities they support, that they will include CLAN as a possible beneficiary. As a result of this review they made a similar donation in 2014. CLAN, which celebrated its 30th anniversary in 2013, offers support to individuals diagnosed with cancer, but also to their friends, families, carers and anyone else affected by the impact of the disease. The role played by CLAN’s young people’s carers is particularly significant. It has four dedicated staff positions, with these carers operating across the whole of the north-east. One member of the team now spends three days a week in CLAN’s centre in Elgin. CLAN Cancer Support is an independent charity which provides comfort, support and information, free of charge, for anyone, of any age, affected by any type of cancer. The Budge Foundation have had an association with Inchgarth Community Centre in Aberdeen for a number of years . We are delighted to part fund additional equipment for their "free to access" toddlers group. The group manages their own operation seeing parents taking the responsibility of running their own sessions for their children. By increasing and improving the facilities available for the children should ensure the group continues to thrive, attracting new members, and providing the best possible opportunities for all who attend. The group also acts as an excellent social conduits for parents, often making contact with those who are hardest to reach in society. This wonderful charity required £2000 to enable them to receive matched funding for a new project. Obtaining this funding meant that Cruse Bereavement Care could carry out a feasibility study considering the bereavement counselling needs of children under the age of 18 in Moray. The Budge Foundation had no hesitation supporting this request for assistance. 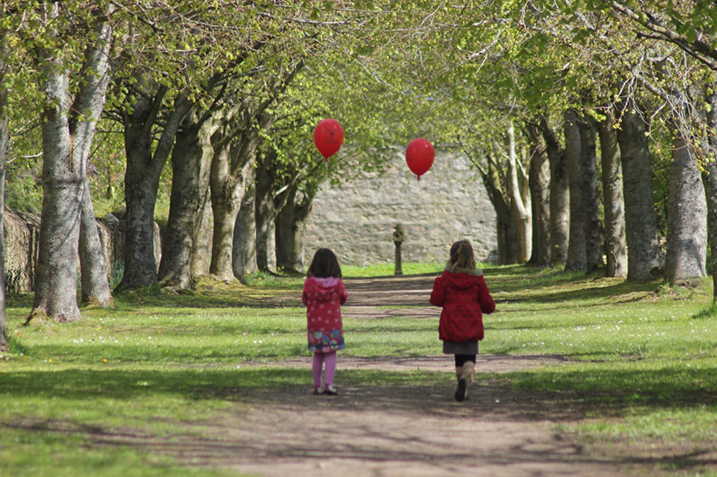 In May 2013 The Budge Foundation agreed to fund the cost of the hire of a marquee so an Activity Day for children could take place at this historic site. It was a great success with nearly 100 children attending. We had never visited the Knockando Woolmill before but took the opportunity in July 2013 to go along and see what has been achieved. 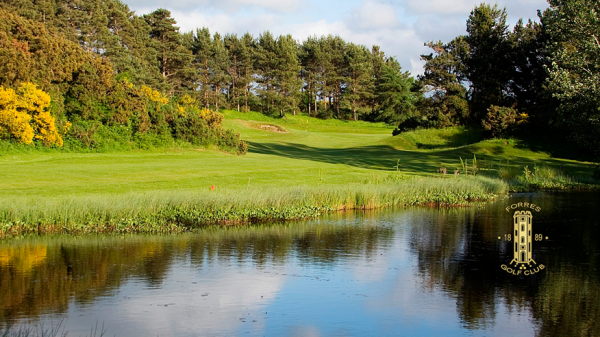 Knockando is located in Speyside, arguably one of the most beautiful areas in Scotland. 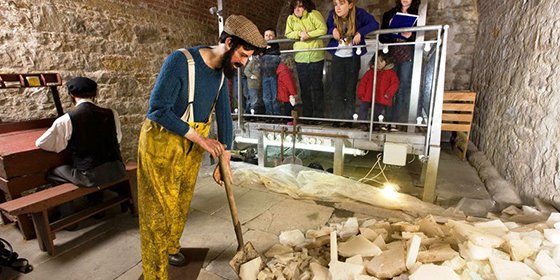 The work which has been done in bringing the mill back to life is amazing. Go and visit, you’ll be greatly impressed. The first Access Scholarship has proved to be a great success. To allow Robert Gordon University certainty regarding the ability to offer future Scholarships, it was agreed The Budge Foundation Access Scholarship will be offered to a new student who commences their academic studies in the Autumn of 2017, 2018 and 2019. We are delighted to expand our support of the excellent work undertaken by Robert Gordon University, which so much aligns with the aims of The Budge Foundation. 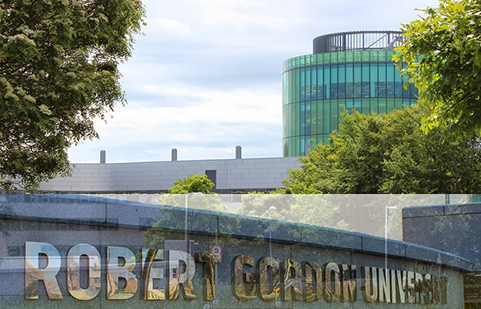 Robert Gordon University in Aberdeen have strong belief that financial background should not be a barrier to gaining access to further education. They have developed an excellent outreach and scholarship programme to encourage young people from under represented areas to consider choosing higher education, and to enable the choice to become a reality. The university is committed to extending access to learning and enable talented individuals from under-represented groups, particularly those from deprived areas, to achieve their ambitions through higher education, whatever their circumstances. The 1st Budge Foundation Access Scholarship for a 4 year period was awarded to a student who commenced their studies in September 2016. 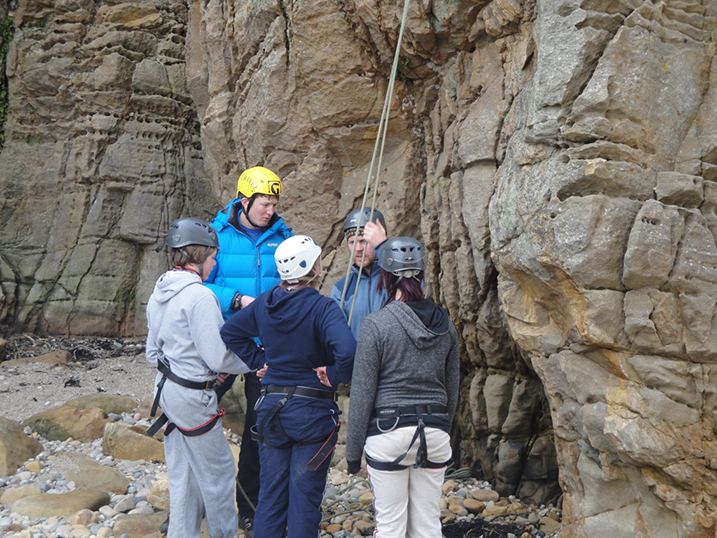 In May 2014, we were approached regarding providing financial assistance for a group of young people to attend an outdoor centre at Badaguish near Aviemore. 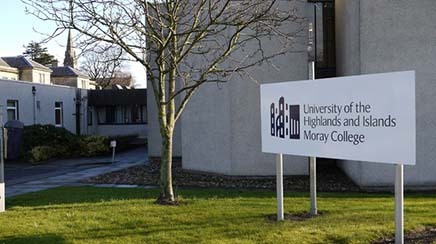 The students aged 16-18 have various learning difficulties and are studying at Moray College Skills For Life Department. We believe it is important that, where possible, recipients of grants should raise money themselves and we will contribute the balance. In this case the students successfully raised £1500 from a range of fund raising activities and we were delighted to gift £3,500 to allow the trip in April 2015 to happen. 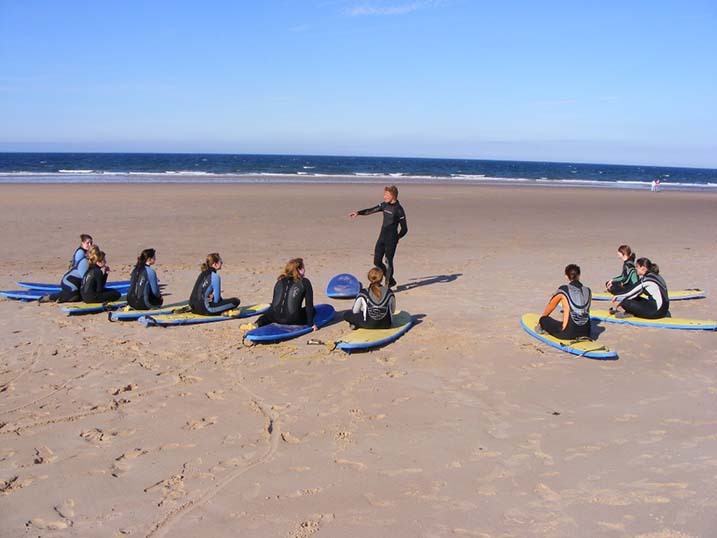 During the residential week, the students plan all the meals, organise the dormitory arrangements, book the outdoor activities, arrange on-line food shopping and book their transport requirements. The whole experience is hugely beneficial to each student. In addition to the educational benefits, the students also build their self-confidence and self esteem, experience working as a team and enjoy trying out new activities outside of a College setting. Our new website was designed, built and rebranded by Developers For Hire Ltd. 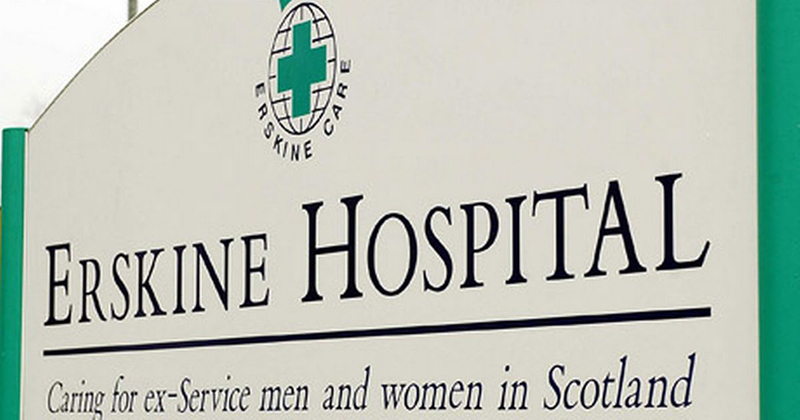 In return, we were asked to make a donation to Erskine Hospital. We're happy to do so. A big thank you goes out to DfH for their efforts in delivering what you're currently looking at. Originally named The Budge Trust, the name was changed to The Budge Foundation in July 2015. This change reflects more accurately the way in which the Foundation operates, with the term Foundation highlighting the philanthropic objective while retaining an ability to engage and support a wide range of projects and individuals in a flexible manner. Over 14,000 people attended the event with very positive comments received from many visitors. Local Hotels, B&B's and Self Catering Accommodation providers reported an increase in sales with local catering establishments being very pleased with improved custom at a time of traditionally low visitor numbers. We are delighted to continue our association with this magnificent project and are hopeful that even more visitors will enjoy the 2017 event which retains the most popular elements of the 2016 event with new and exciting additions. 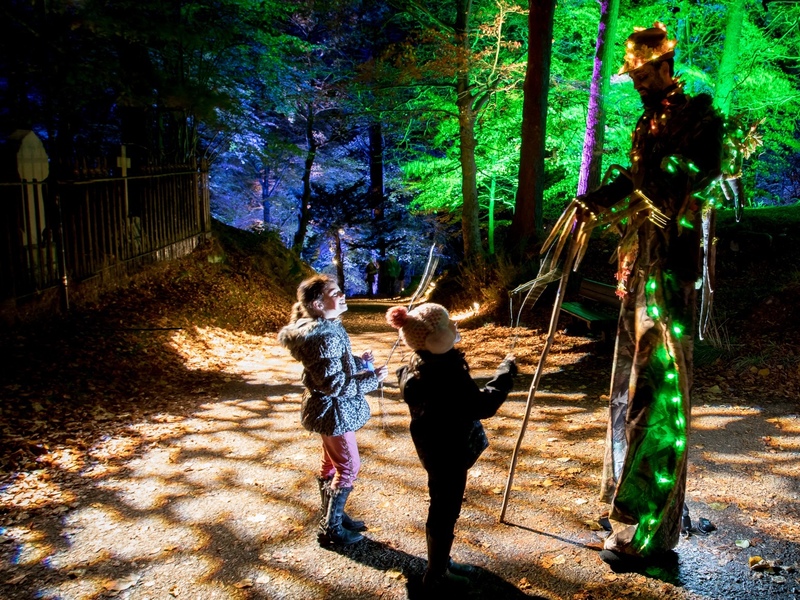 In the past, outside Pitlochry in Perthshire, an event called "Enchanted Forest" has been drawing big crowds. 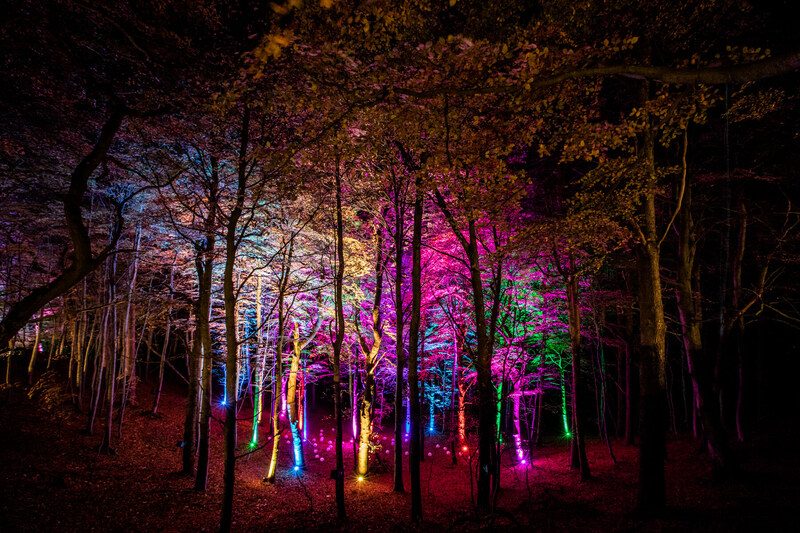 A very talented teams of lighting and sound designers transform a forest into an area which becomes magical. 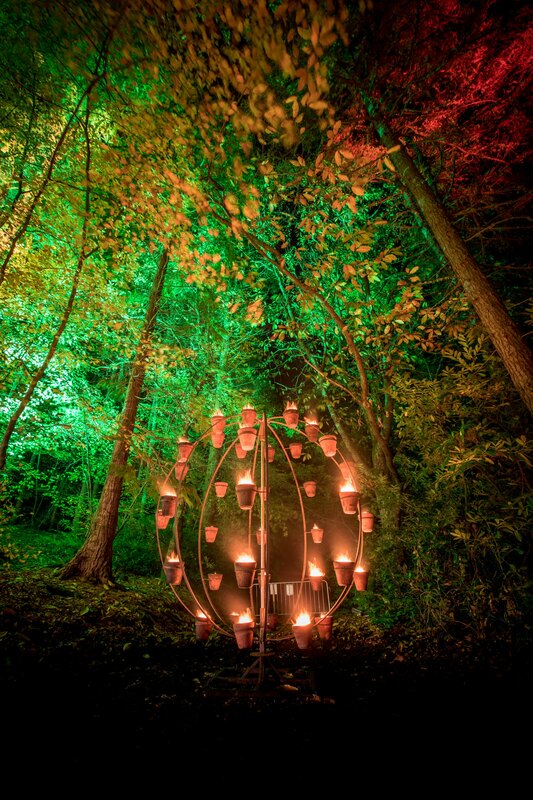 A enthusiastic band of very able local people formed a committee, engaged the services of the same talented individuals who currently create the "Enchanted Forest". The event was an amazing success with over 13,000 people attending which well exceeded the most optimistic figures projected. The feedback received has been amazing and the success has ensured a similar but larger event will be held in November 2017. We are delighted to be associated with this event and have granted funding of £25,000. We have supported the excellent work of Action Medical Research for a number of years. 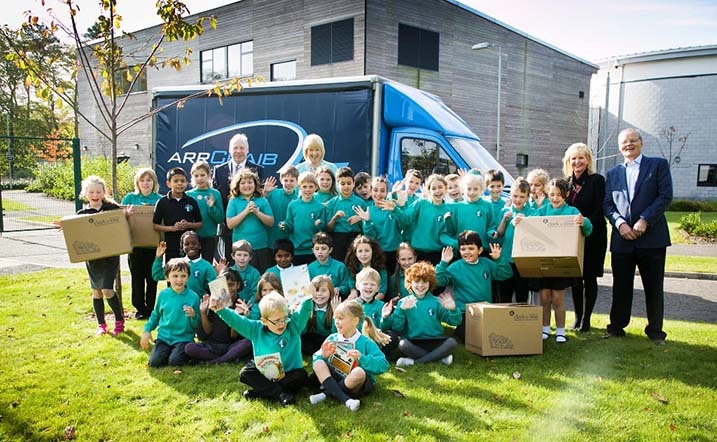 The work done by this superb charity focuses on illnesses and conditions afflicting children. Previously, financial support was given to a project being undertaken at King's College London into ADHD (attention deficit hyperactivity disorder) and ASC (autism spectrum conditions), more specifically to devise interventions to prevent behavioural problems from developing with children who suffer from one or both of these conditions. In 2018, the Budge Foundation, decided to make a further donation to Action Medical Research, the funding being used to support research by Dr Matthias Zilbauer at Cambridge University into Inflammatory bowel disease in children – predicting disease severity. A fantastic band of volunteers delivers, through “Wave Radio” a radio service to patients attending the major hospital in Elgin, Moray, Scotland. The group receive no external funding and meet all of their own operating expenses. As well as hospital radio, Wave Radio act as a community radio station attending many events in the North of Scotland using a mobile studio. It had been identified by the group that the existing trailer / studio they use when attending events required to be replaced. We were very impressed by the plans and enthusiasm of this group on how they intend to raise money to make this happen and are delighted to make a matched funding award, up to £2500, which should allow this to happen. When approached to assist with the funding to be used to refurbish the Greenkeeper's machinery storage shed, we were delighted to agree. The late William Budge Snr, spent many happy days of his retirement playing golf at Forres Golf Club and we are certain he would have approved of this donation. 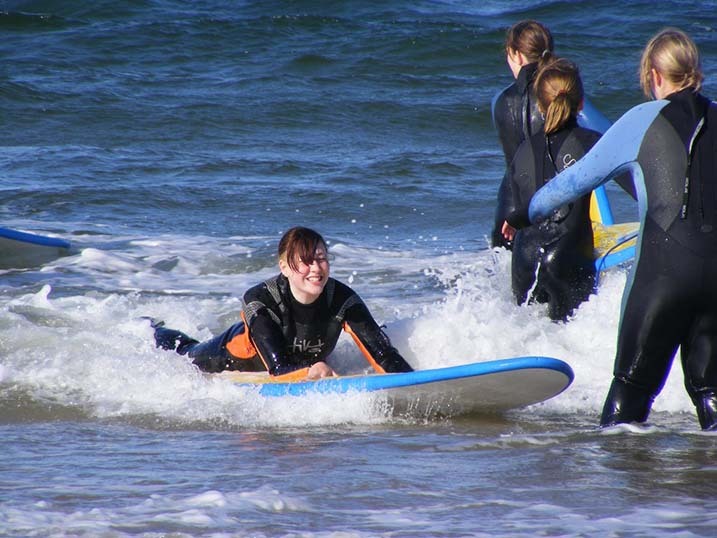 Based in Aberdeen, VSA is the city’s major social care charity. incredible work Mowthey deliver can be seen. The Budge Foundation have supported VSA’s work for many years, on a general donation basis. After a visit to the Easter Anguston Farm / Linn Moor School, outside Aberdeen, in the late spring of 2018, where we witnessed, first hand, the amazing work being done in support of children and adults with learning disabilities. We decided we wished to make a project specific donation. VSA had a vision to redevelop/refurbish an existing building located at the farm to create a purpose built education centre that would enable them to deliver training to their trainees in an environment where vocational training and digital skills can be taught. 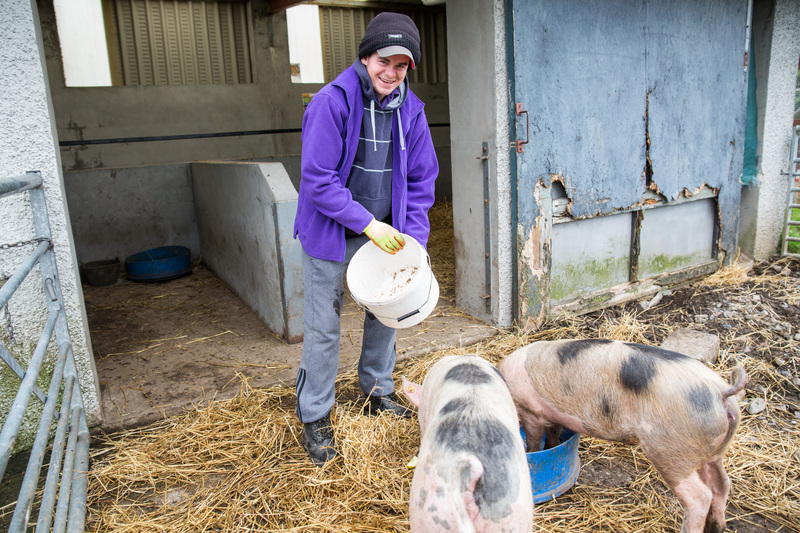 By creating a purpose built education centre at the farm, will also allow them to be in a position to increase the number of adult trainees they support. In mid 2018, there was no designated area providing safe and warm educational facilities to sit and learn on site. The then current education room was not fit for purpose and needed a considerable physical upgrade. Work required includes deep cleaning, toilet facilities, redecorating, providing suitable chairs and tables, sourcing of IT equipment to facilitate effective delivery lessons and purchase of interactive visual and tactile displays to help users enjoy the learning experience. 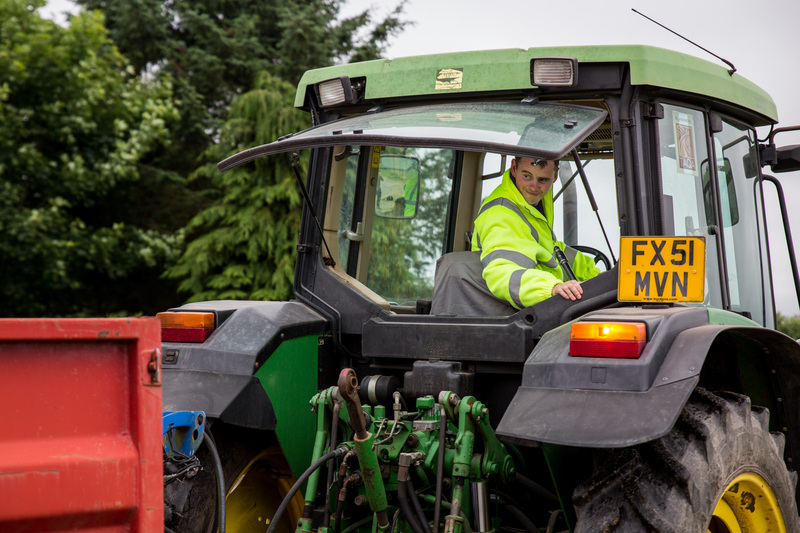 Developing an education centre at the farm allowed VSA to support more adult trainees, and enabled them to deliver desk-based, vocational and digital skills learning in a fit-for-purpose environment. 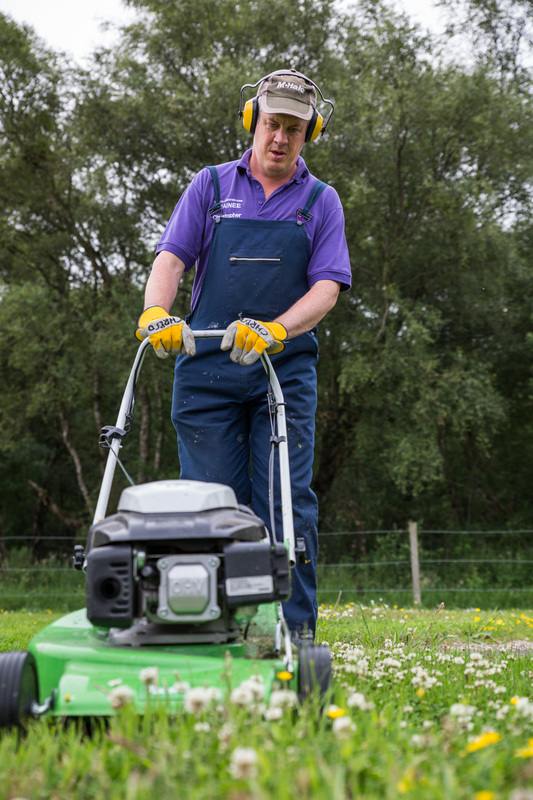 Ultimately, VSA aim to offer accredited qualifications such as SVQs in subjects based around Agricultural, Animal Husbandry and Horticulture to complement the existing practical training provided. The end result will enhance trainee employability. With the new education centre, VSA plan to expand their learning pathways to people with physical disabilities; at the moment, they primarily focus on adults with learning or mental disabilities. The Centre will enable VSA to provide additional interactive educational learning days to nurseries and schools from across the North East of Scotland. The hope is to build on the farm’s current success and facilitate in excess of 40 nursery / primary school visits/annum. Many of the children attending these sessions will come from socio-economically deprived city-centre establishments. Often a learning day at Easter Anguston Farm will be the first time these children will see farm animals or visit woodlands. To enable the Education Centre to become a reality The Budge Foundation have made a very substantial matched funding award, which meant that the work required to undertaken is fully funded. 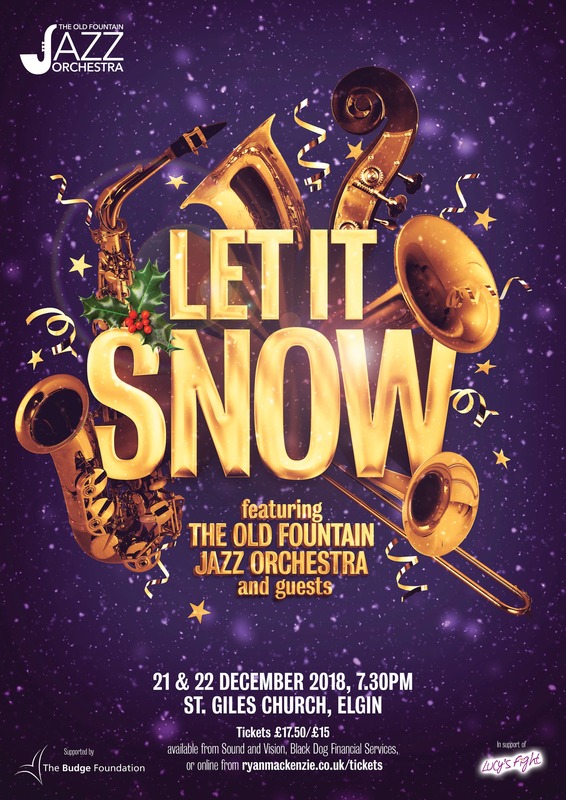 Each December, a group of young people from the area, many of whom have achieved to the highest levels professionally, perform 2 amazing jazz performances in Elgin. We are delighted to be the major sponsor for the 2018 "Let it Snow" and hope this event will continue to grow from strength to strength. We are delighted to assist this fantastic charity. MCR Pathways is a programme which focuses on reducing the risk of vulnerable children and young people being excluded from school. 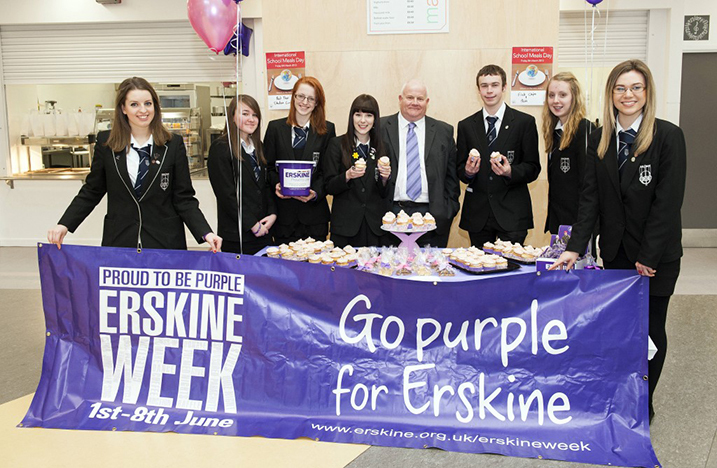 MCR has been working in schools in Glasgow for over 10 years and has been hugely successful. Reduce the risk of exclusion from school of vulnerable young people. Improve engagement with the school and the school curriculum. Ensure every young person has a positive destination. struggling in school for a number of reasons, whom they meet every week. The nature of the relationship is critical to the delivery of successful outcomes and whilst the focus of the weekly sessions is on education, other issues are often discussed, including what is going on at home. 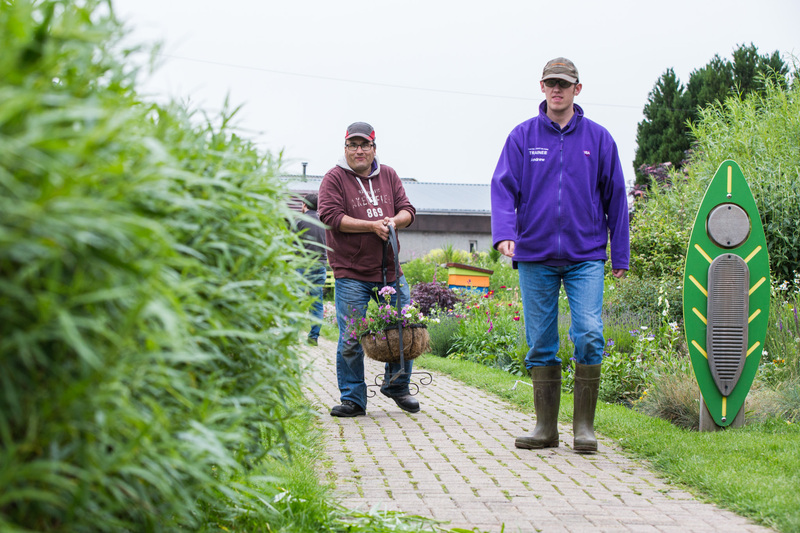 This Aberdeen based charity deliver to the highest of standards care, both respite and long term, for disabled people. 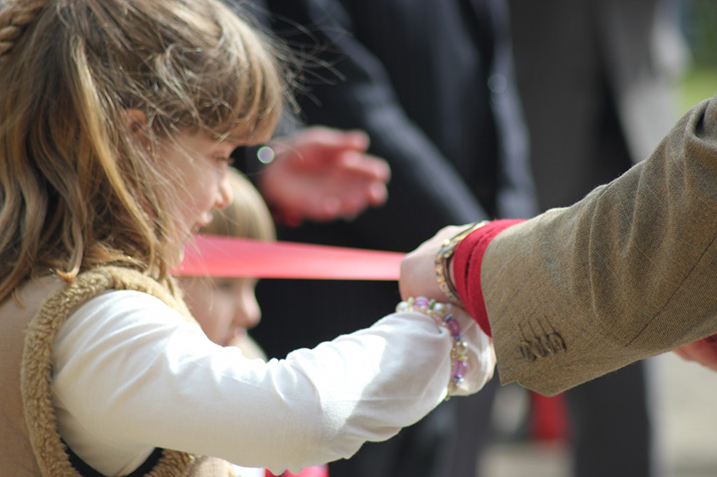 Their focus is providing services to those located in Aberdeen and the North East of Scotland. We are delighted to assist Archway by granting a substantial funding package towards the costs of converting a single level house which will provide 24 hour care for 4 adults. Approximately 200 children and adults with learning disabilities are supported by this organisation.